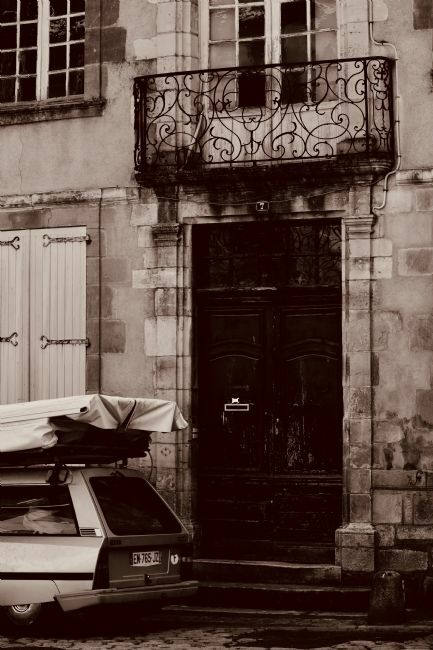 Frontage of Le Canon in th3 early evening. 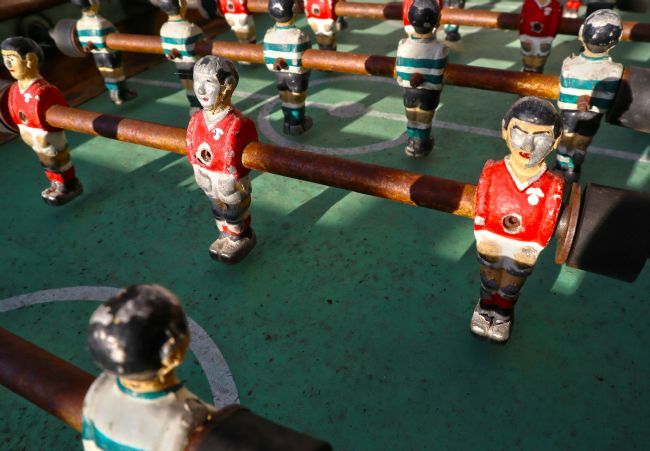 A vintage Subbuteo table outside the bar/ cafe in the picturesque village of Sorgaçosa, Central Portugal. 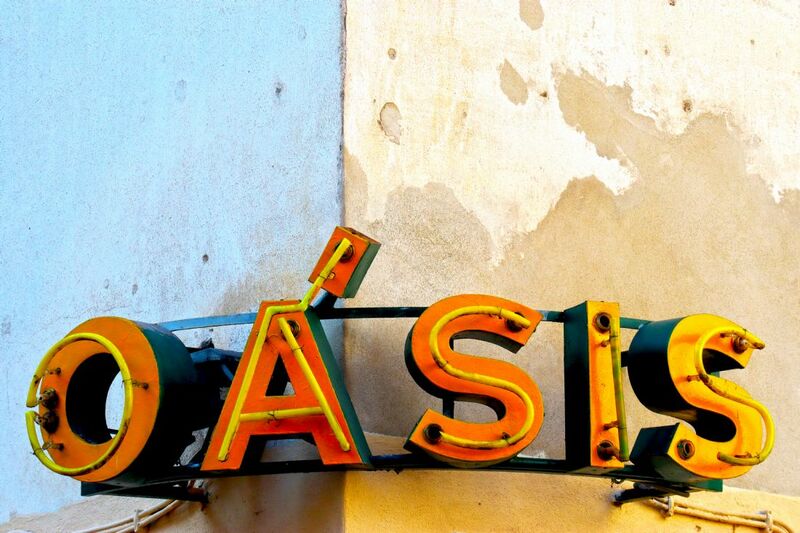 A retro neon sign above the entrance to a cafe in the university district of Coimbra, Portugals’ Third City. 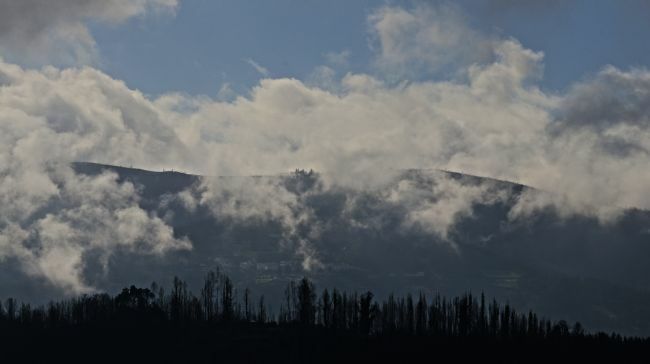 A winter afternoon in Vila Cova de Alva. 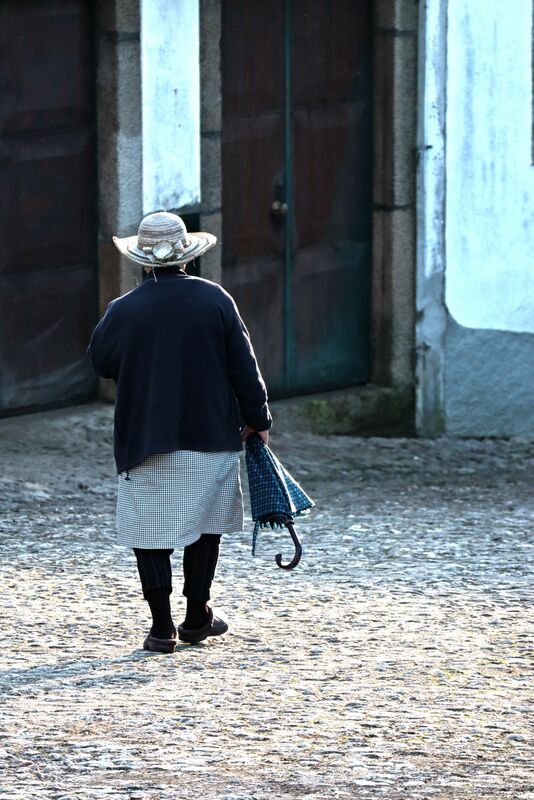 An elderly lady walks down the hill from the church. The umberella was shading her from the winter sun. 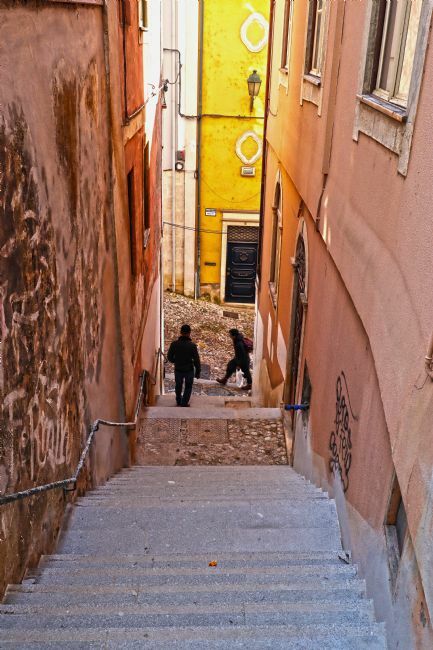 An abstract image depicting an eclectic mix of buildings in the old part of the City of Coimbra in Central Portugal. 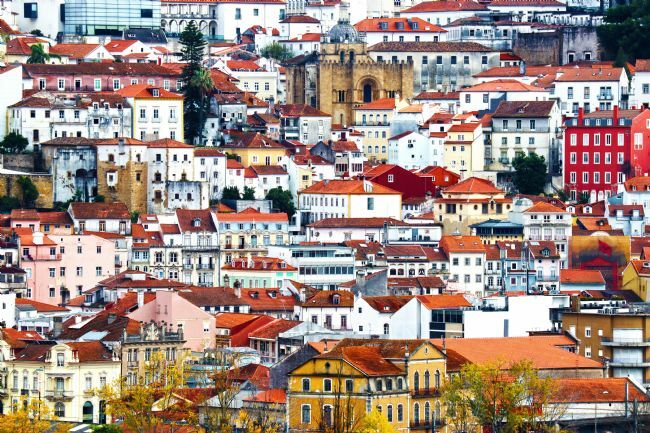 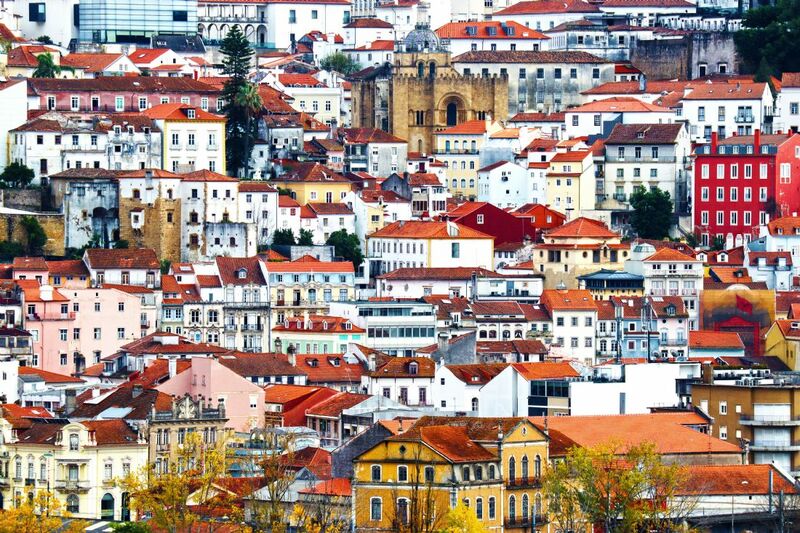 A landscape image of Coimbra, Portugal’s Third City, captured on an overcast winters day. 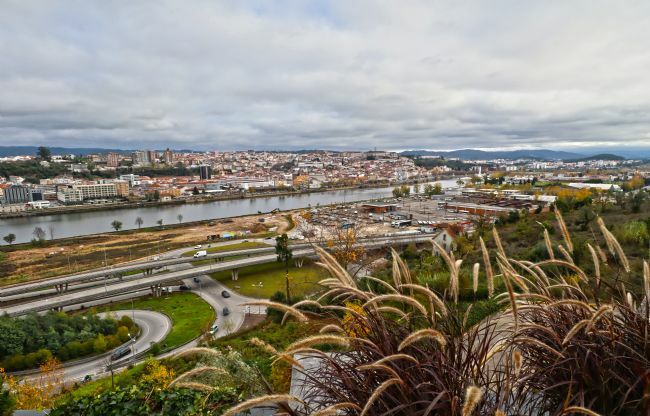 The River Mondego sits in the distance adjacent to the old area of the city. 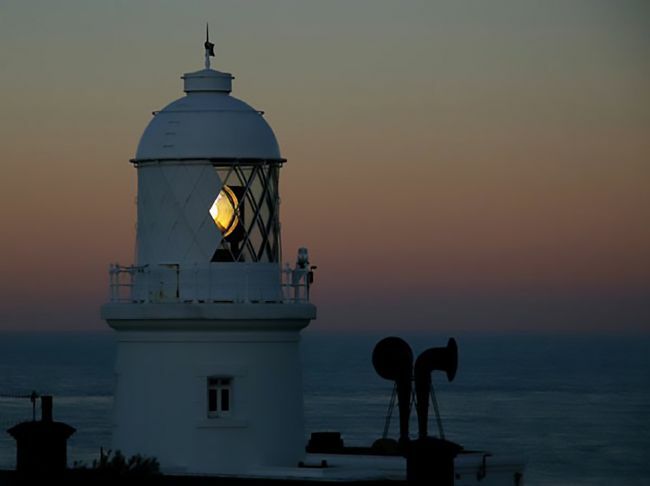 An image depicting Pendeen Lighthouse in the far west of Cornwall at dawn. 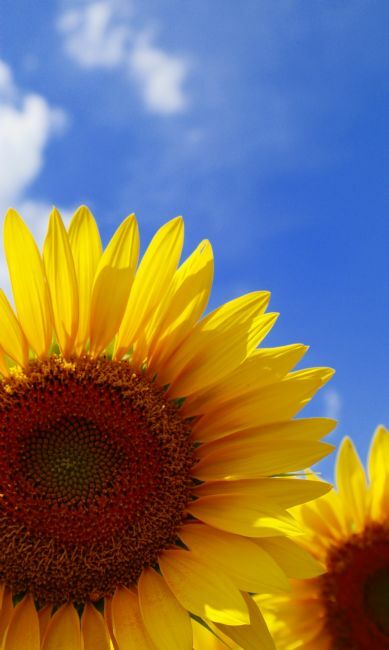 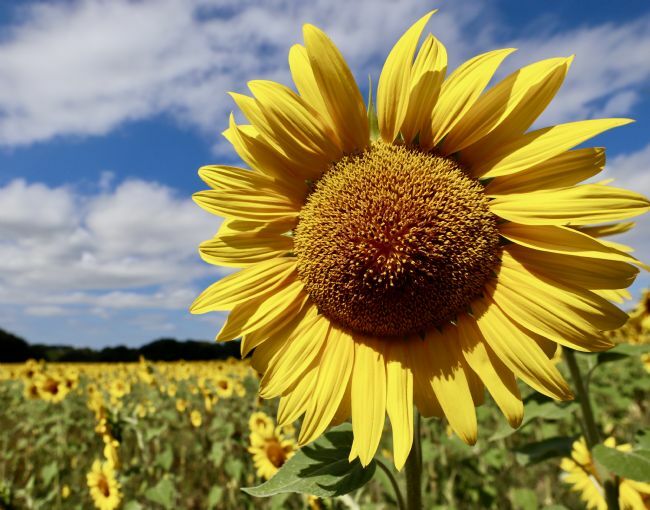 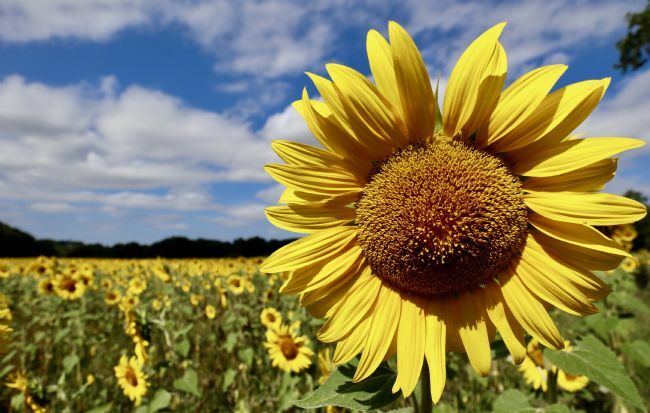 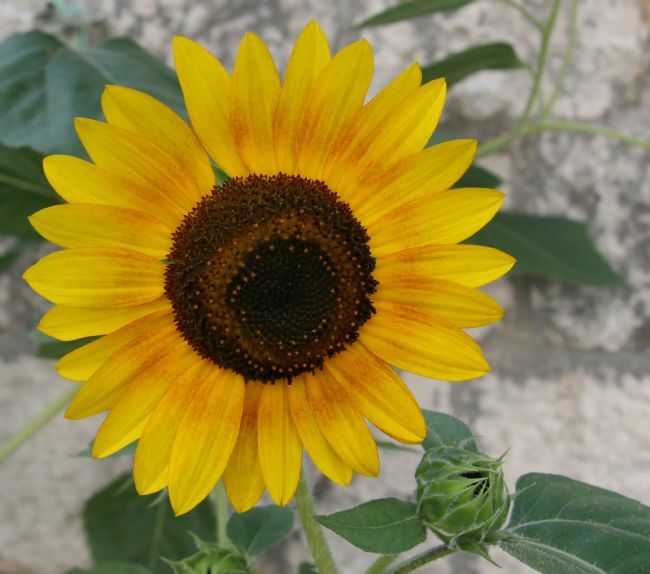 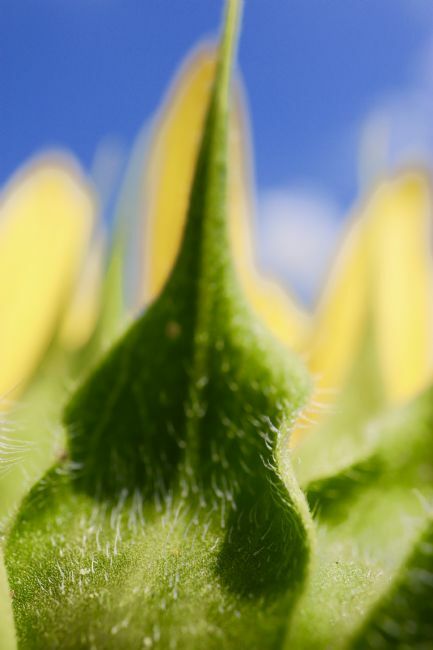 A crisp image of a sunflower in its prime, Croatia. An image captured from the outskirts of Barril de Alva, looking towards across the Alva Valley with residual mist and low clouds draped along the river. 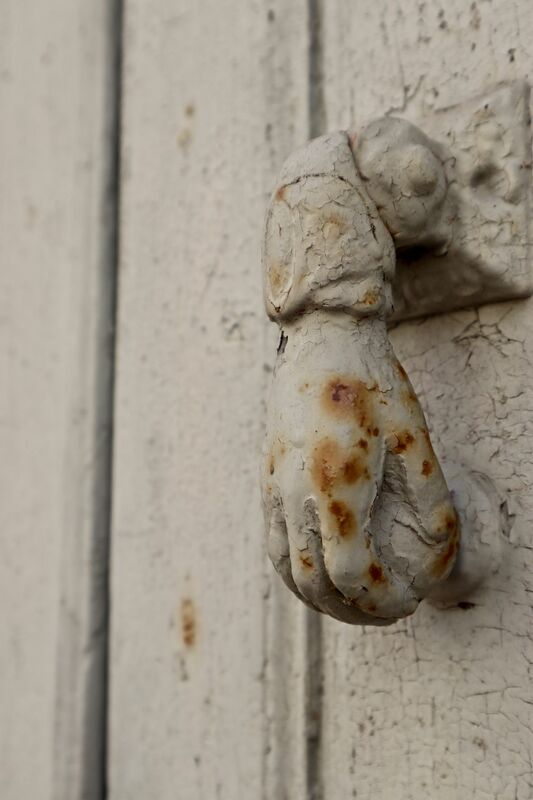 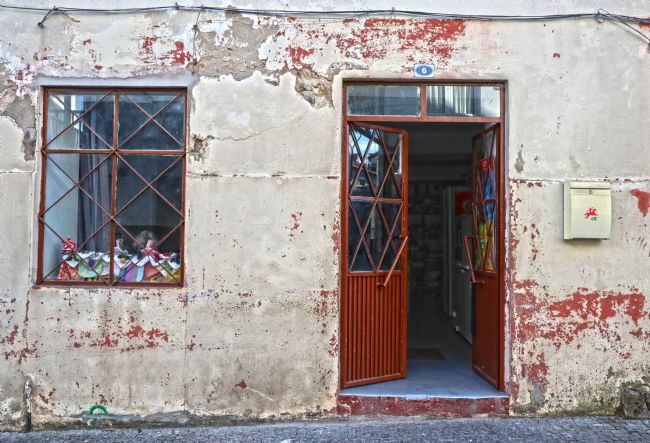 A simple image depicting the side of a house on Porto, Portugal’s second city. 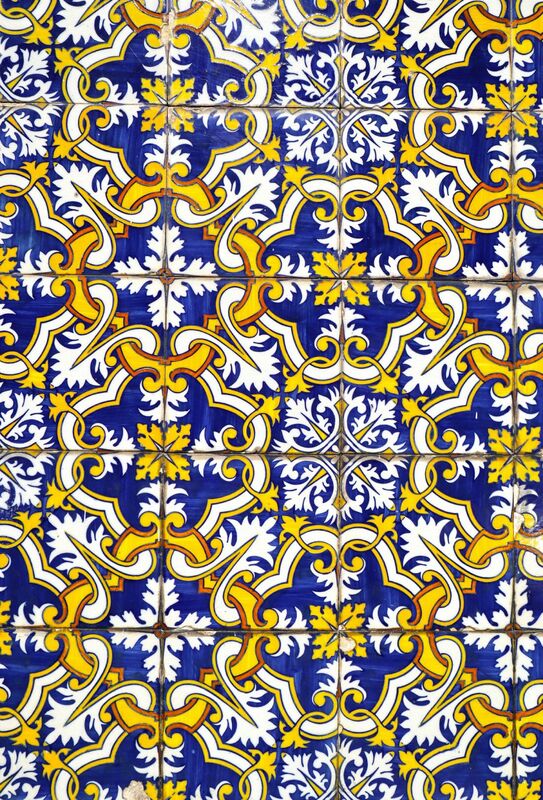 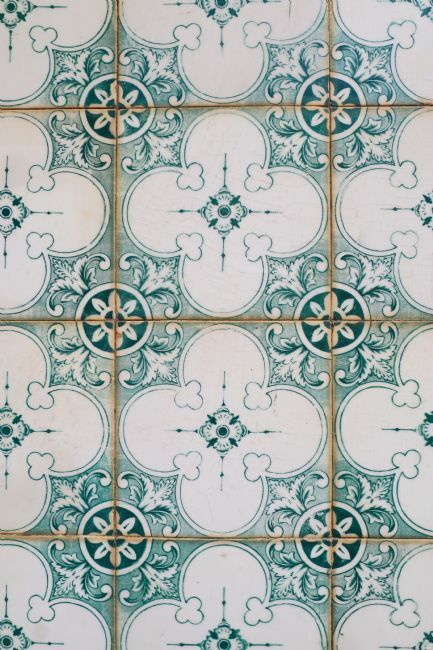 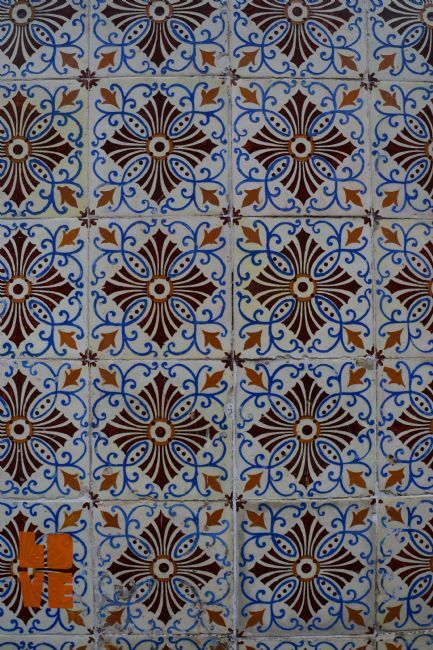 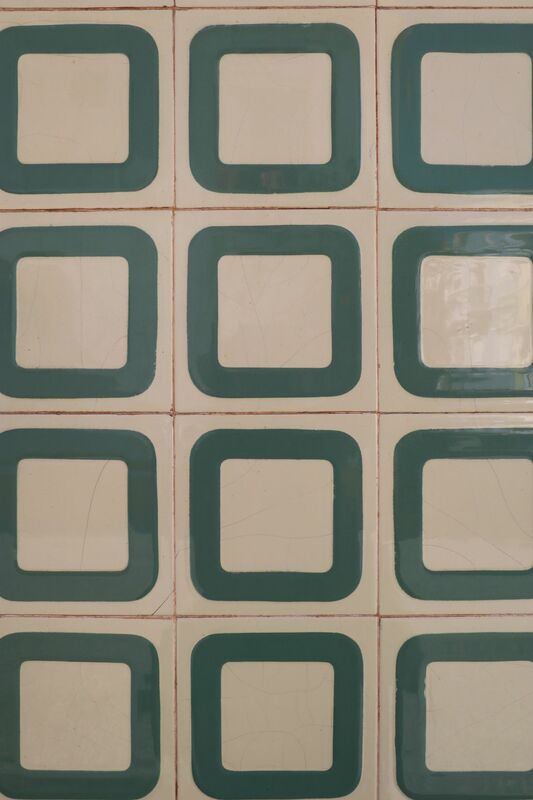 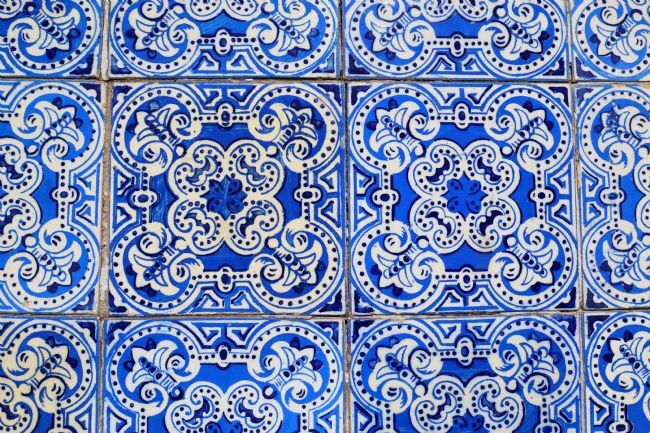 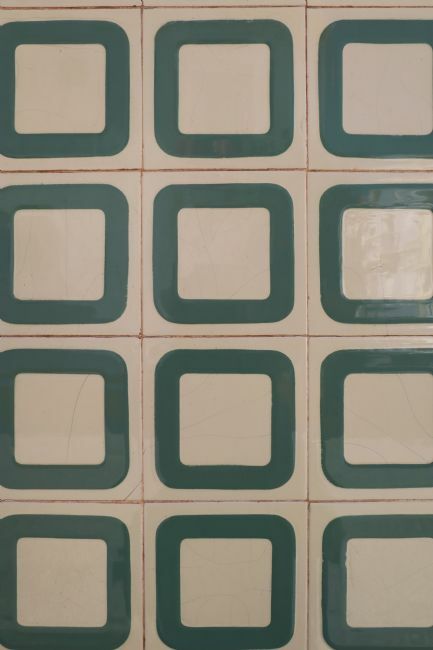 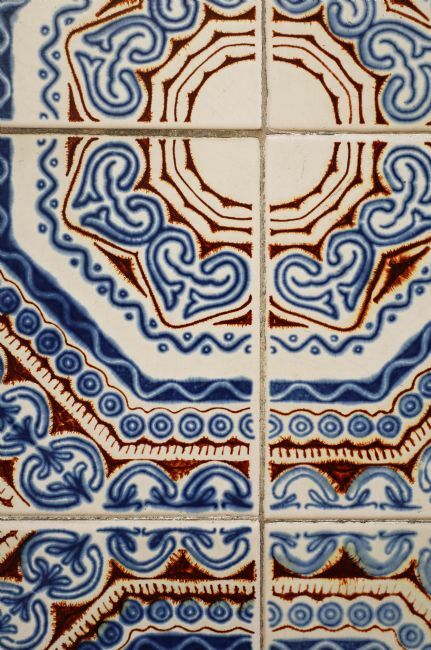 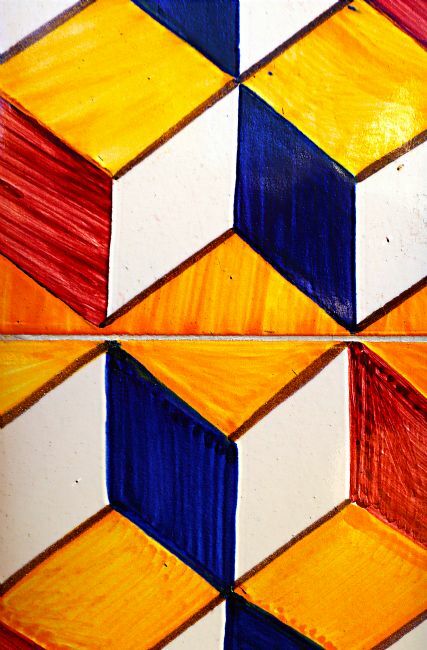 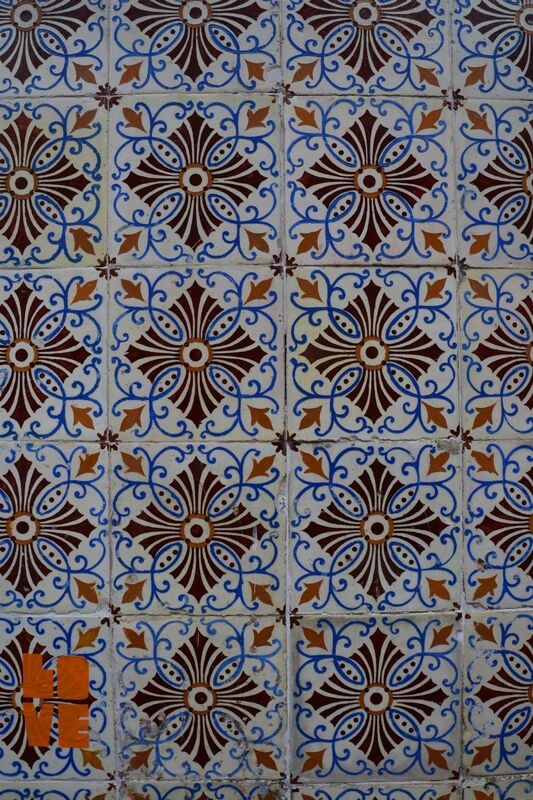 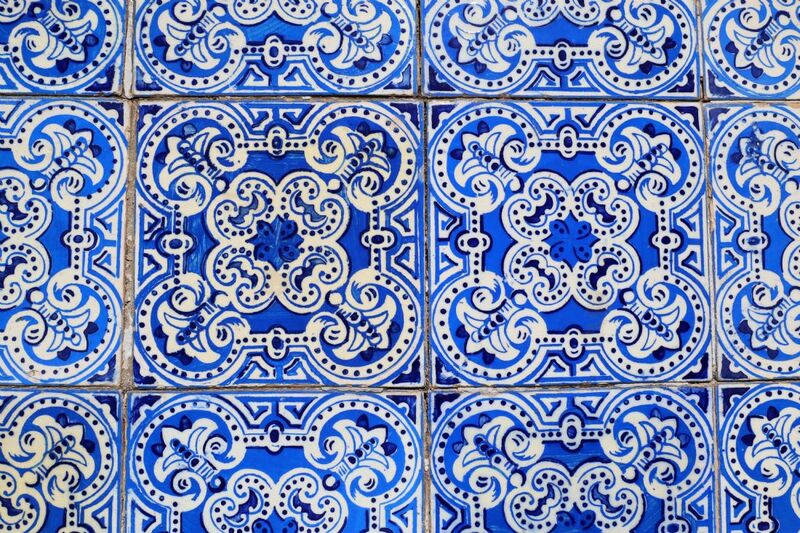 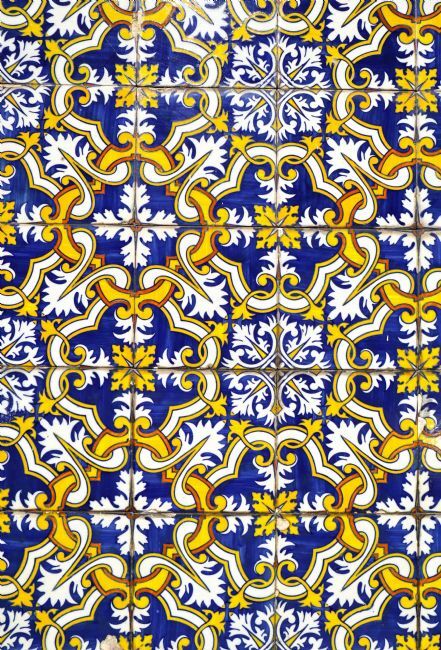 An abstract compilation of a collection of attractive tiles observed on a building in central Porto, Portugals second city. 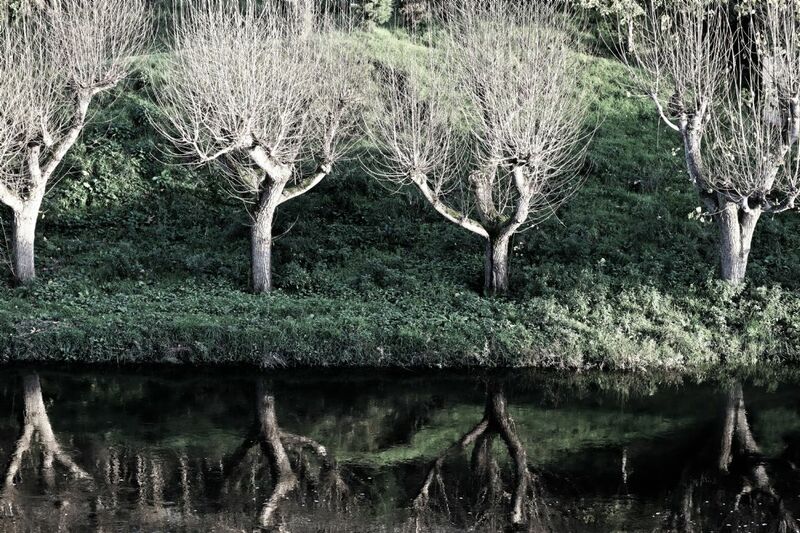 A wintry scene beside the Alva River at Coja, Central Portugal. The majestic branches of these naked trees are intricately reflected in the fast flowing water in the crisp November afternoon sunshine. 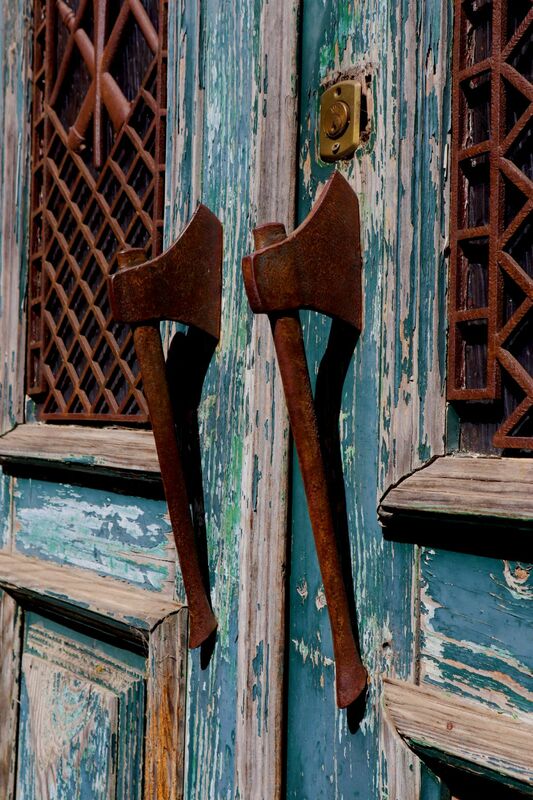 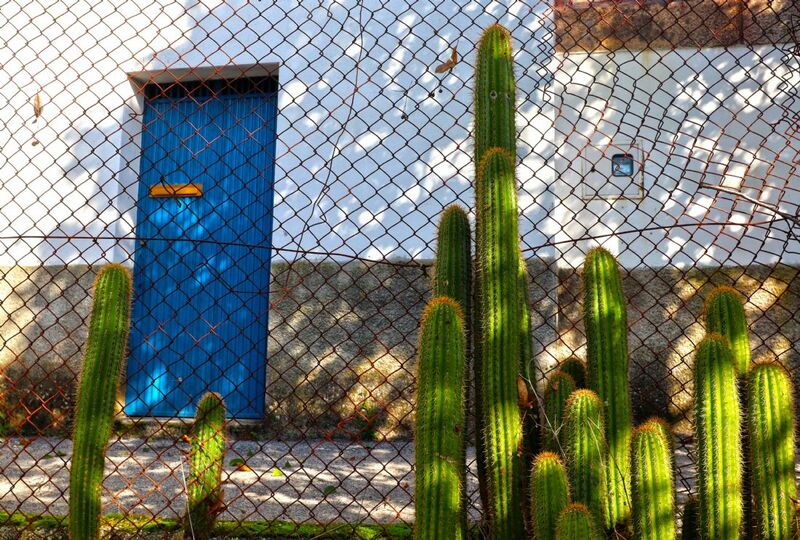 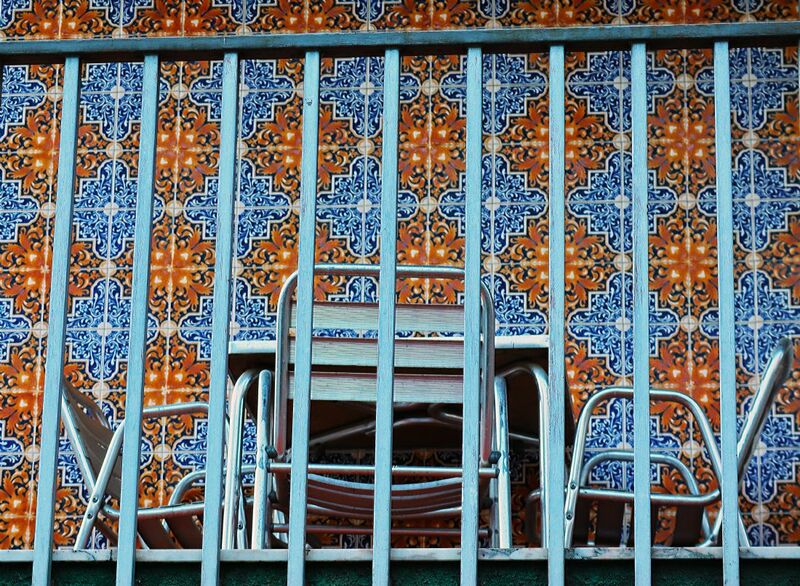 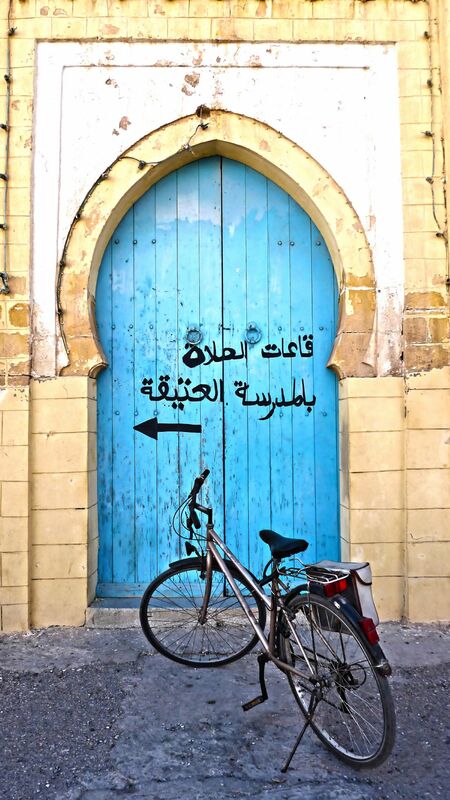 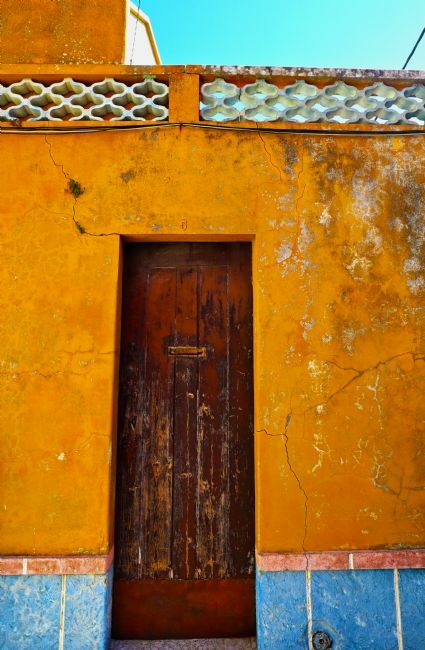 An image captured in Morocco of a bicycle parked in front of an attractive old door. 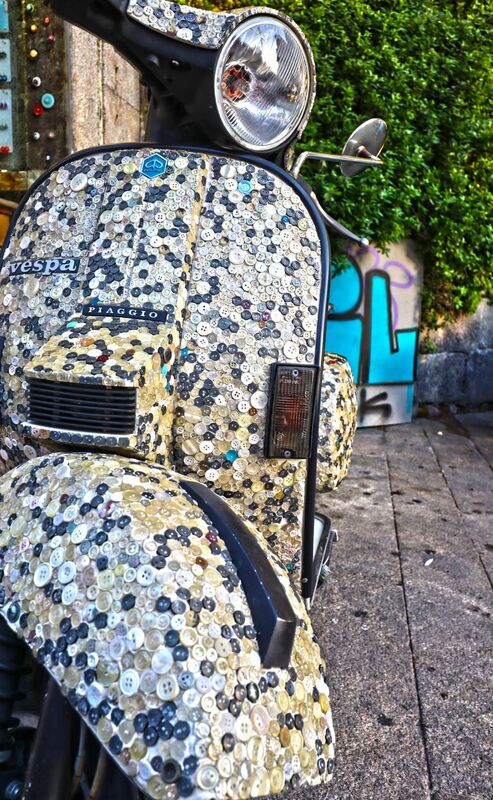 An abstract image depicting a “Vespa” adorned with buttons! 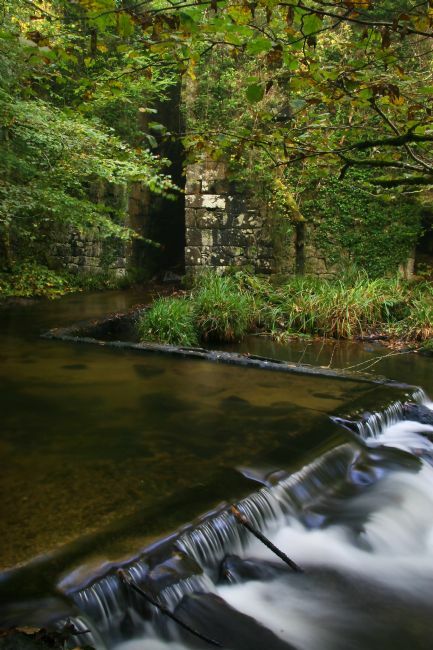 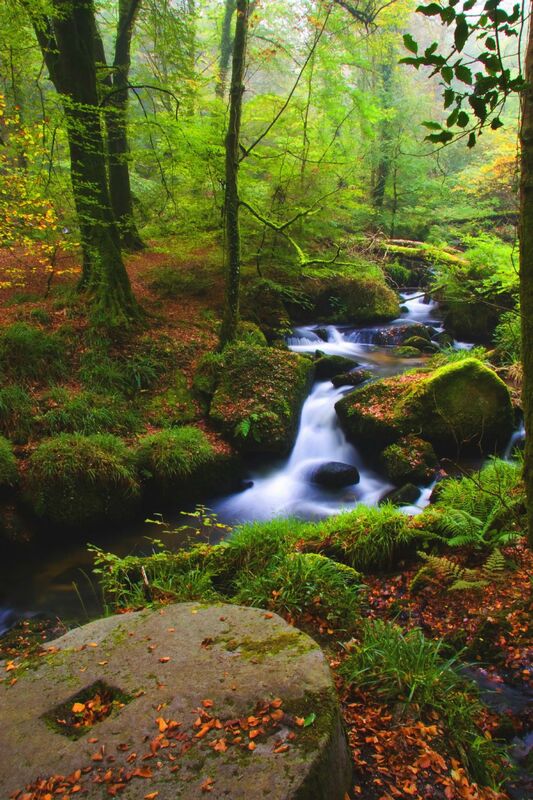 An early morning Autumn image depicting some of the old buildings and waterways in the old Gunpowder works, found at Kennall Vale in Ponsanooth, Cornwall. 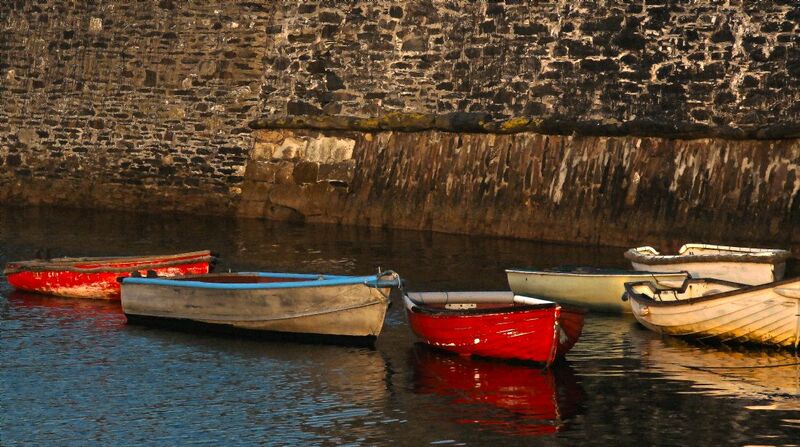 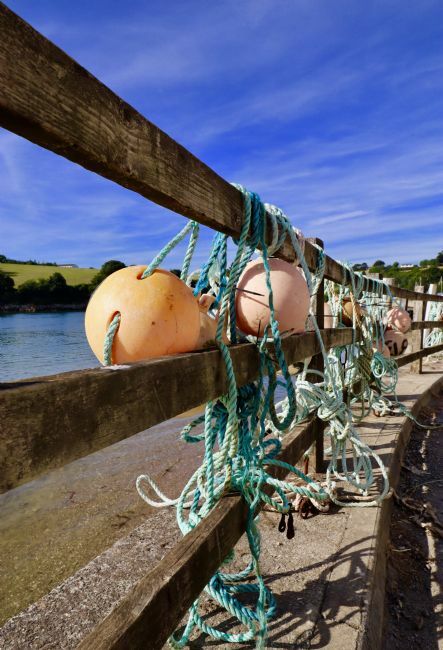 Early morning light in the beautiful Cornish Fishing Port of Mevaissey in Cornwall. 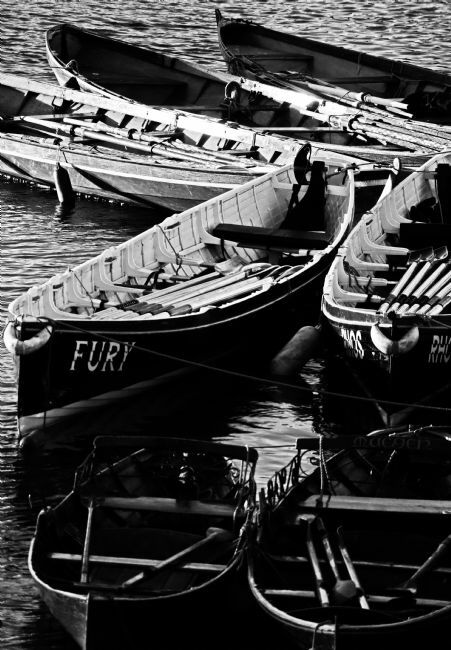 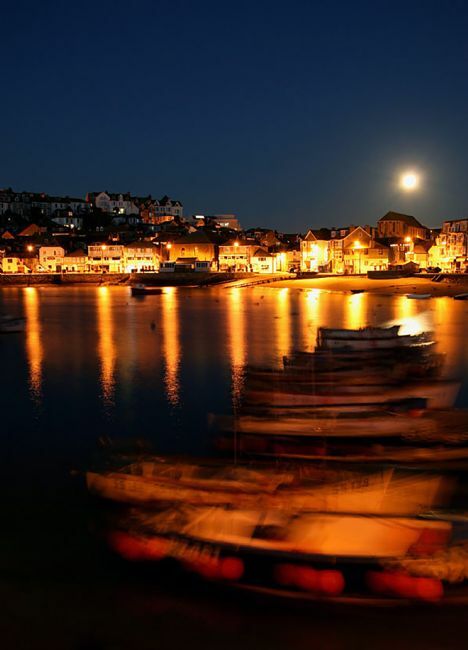 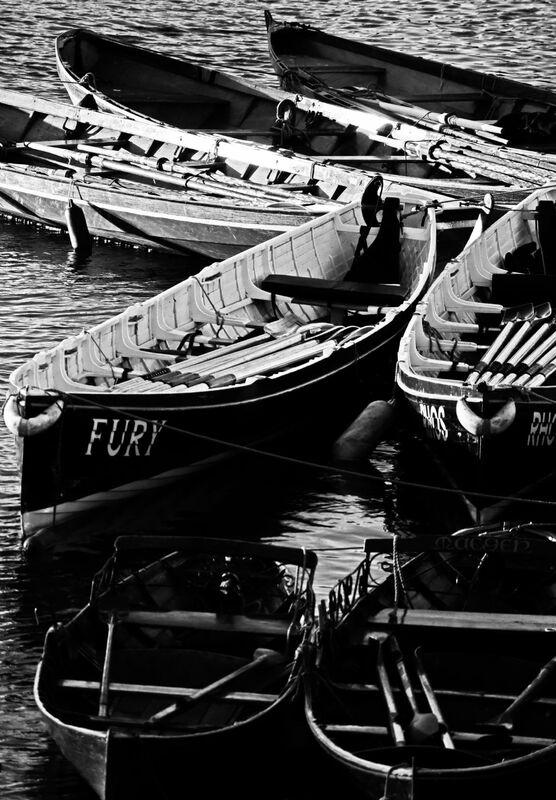 An early morning image captured in St ives Harbour in Cornwall. The moon sits on the horizon with small fishing boats bobbing about in the water below the breakwater. 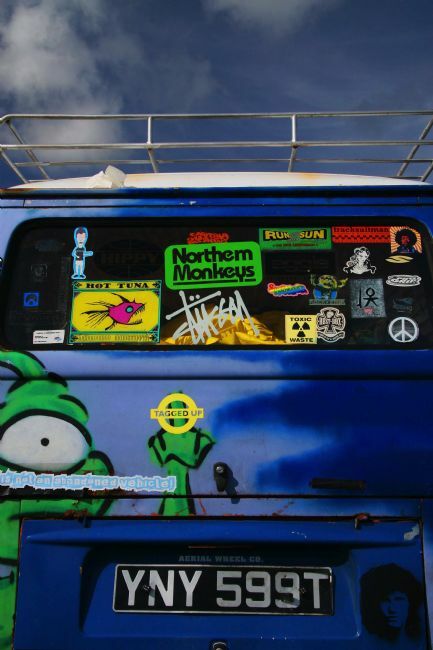 A black and white abstract image of an iconic “Dub” camper van. 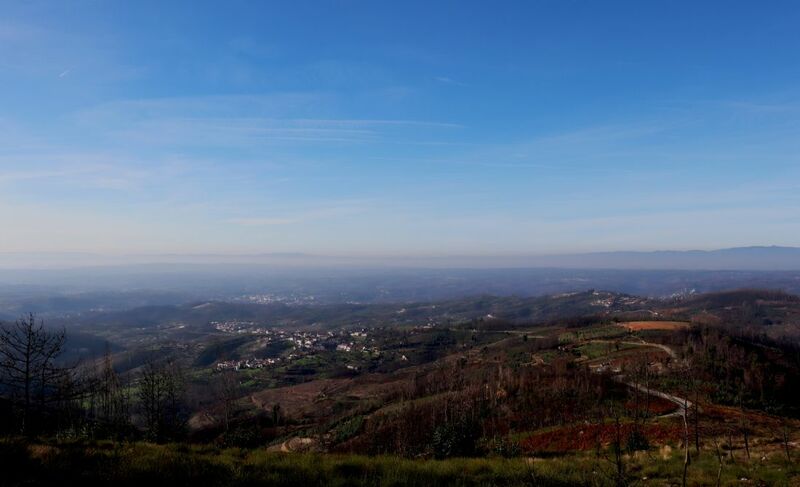 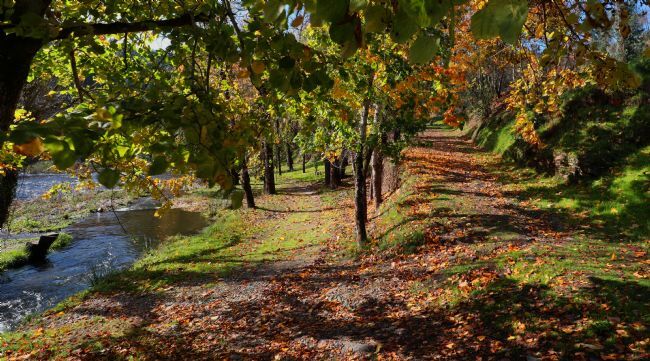 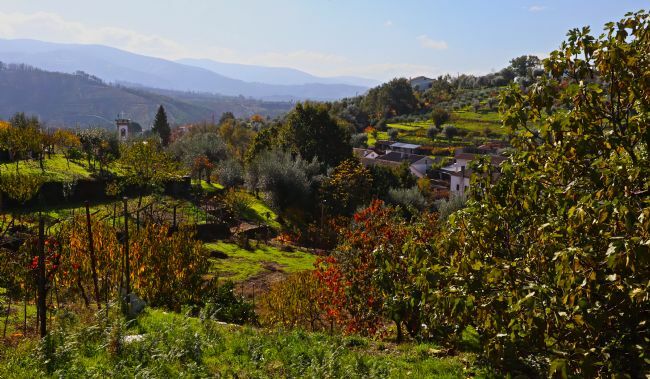 A morning capture of an Autumnal view across Barril de Alva in Central Portugal. 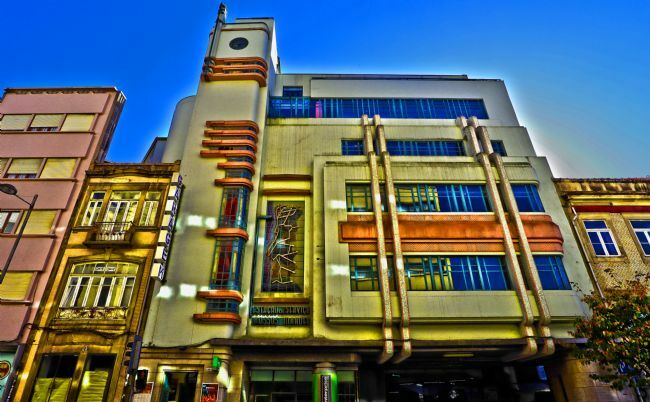 A tired and slightly delapidated but magnificent Art Deco building in Central Porto, revived with digital art techniques in photoshop. 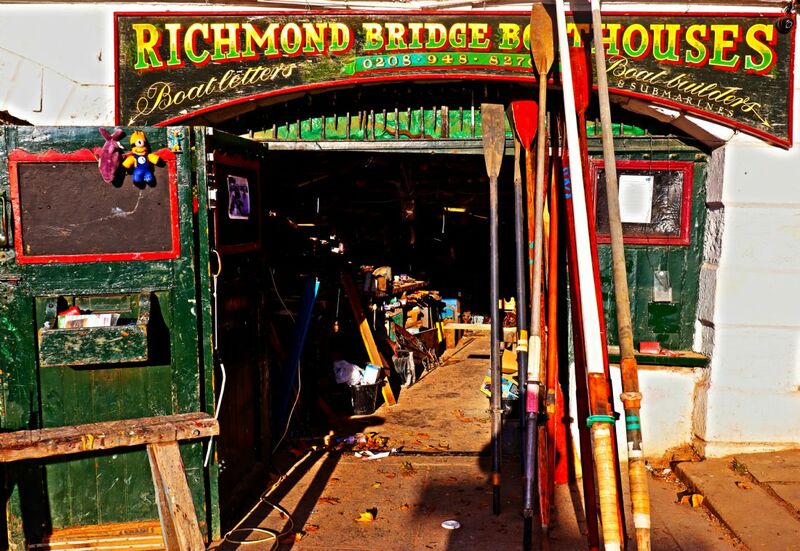 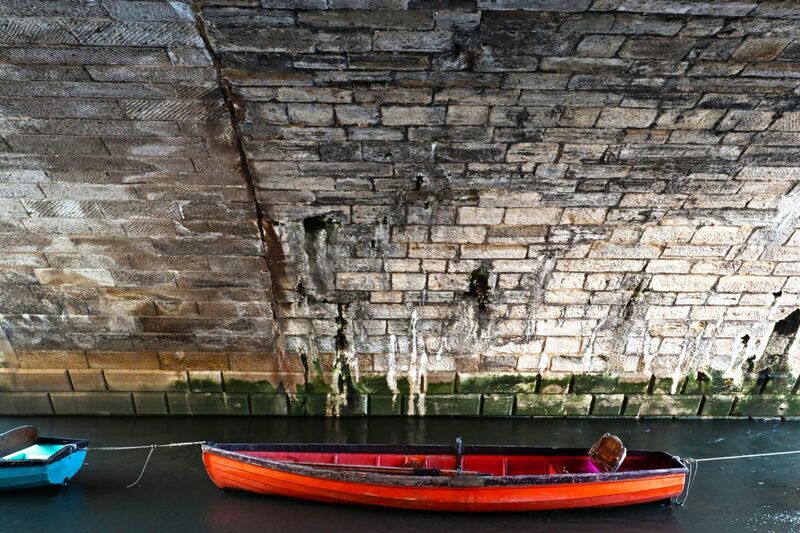 An image depicting one of the colourful boat workshops next to Richmond Bridge which straddles the River Thames, in London. A late afternoon capture looking towards the village of Barril de Alva, Northern Portugal. 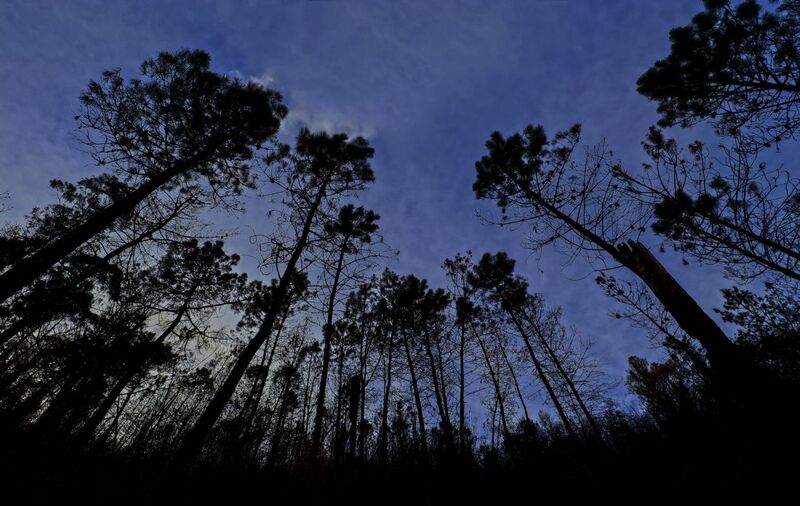 A late afternoon capture depicting the charred remains of pine trees near Fraga da Pena, Central Portugal following the October 2017 fires that ravaged the area. 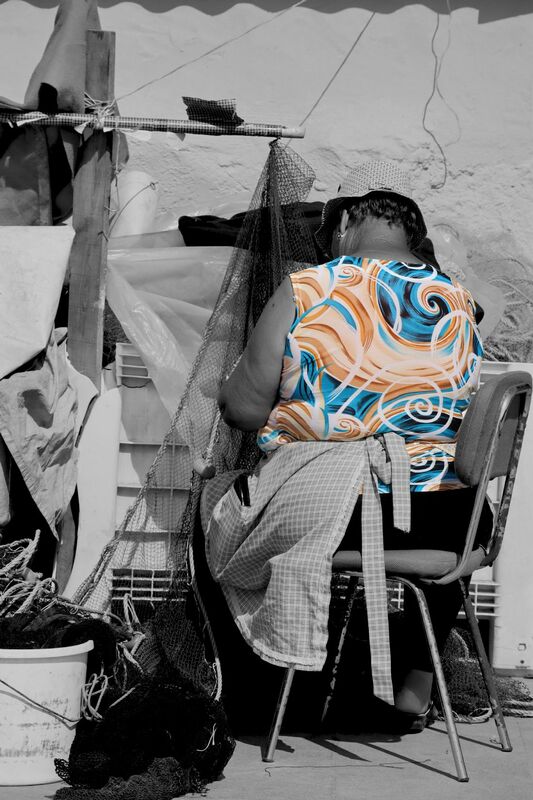 A lady mending fishing nets in the heat of the sun on the beach in Angeiras, Northern Portugal. 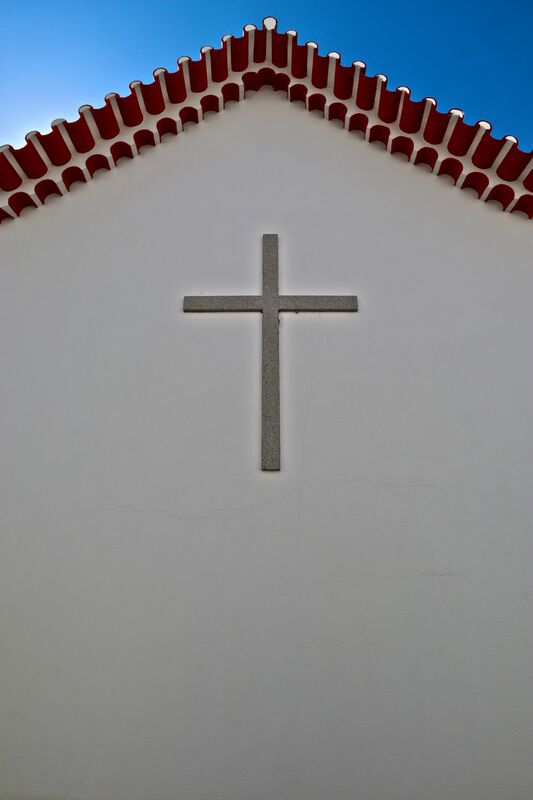 An abstract image of the back end of the little Church in the small square in Benfeita, Near Arganil, Portugal. 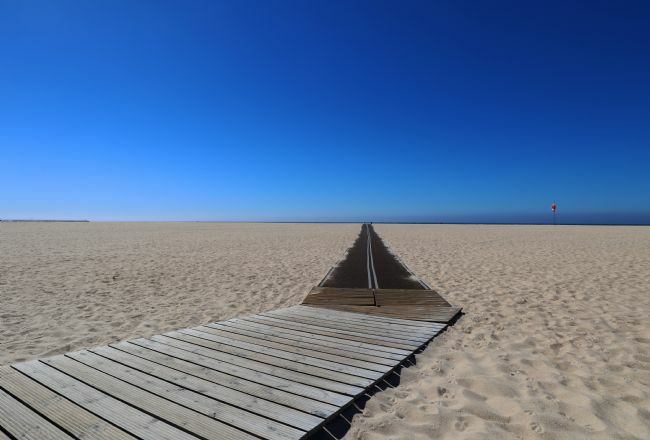 A morning capture at a boardwalk intersection on the huge beach at Figueira da Foz, Coimbra Province, Central Portugal. 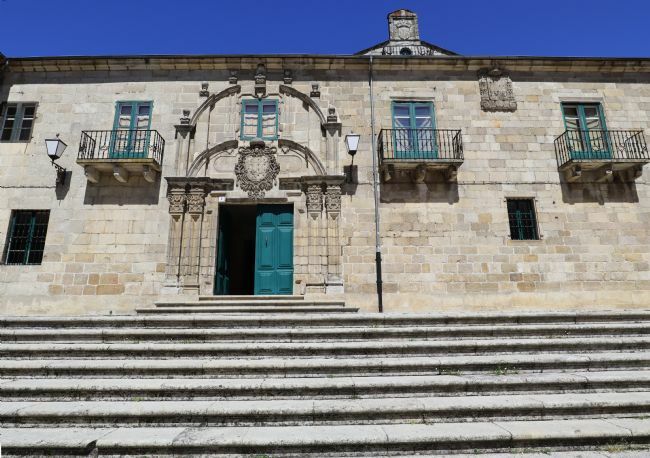 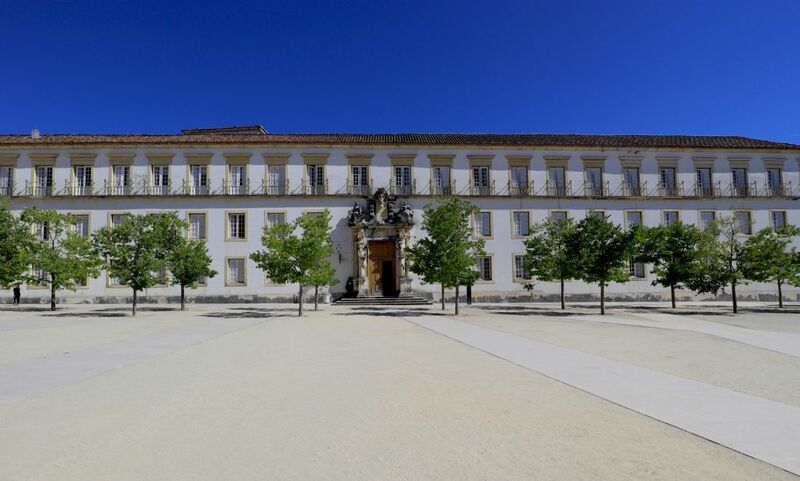 An image captured in the midday sun showing the building on one side of the stunning University Square in Coimbra. 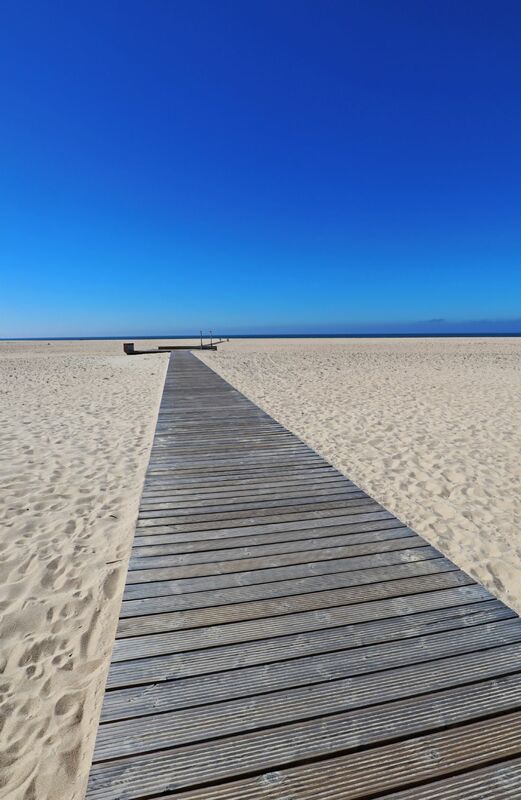 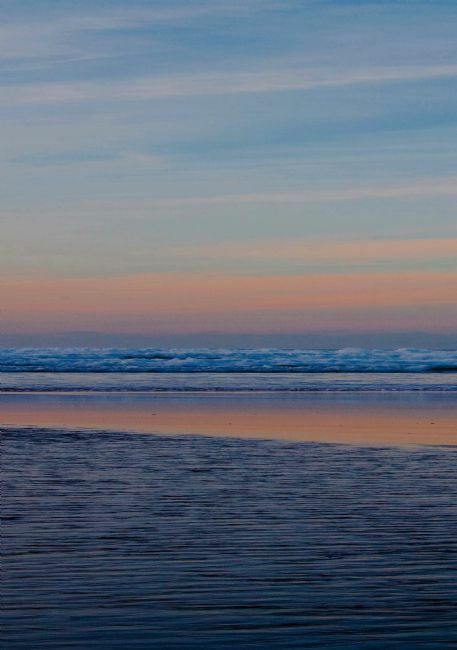 An image captured in the morning on the beach at Figueira da Foz in Portugal. 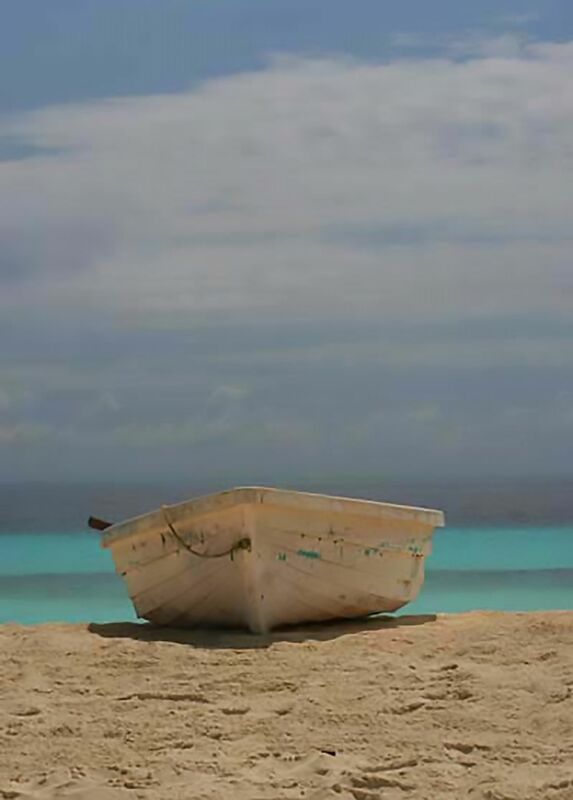 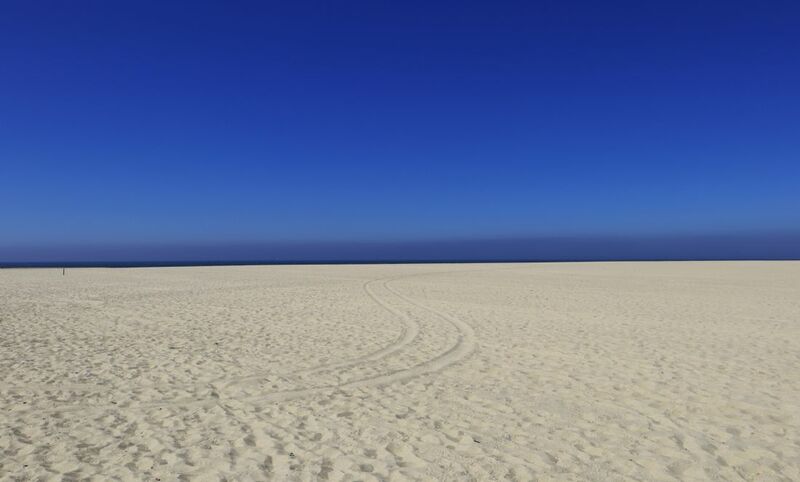 The simplicity of this image conveys the beauty of tthe blue sky, sand and the Atlantic Ocean in the distance. 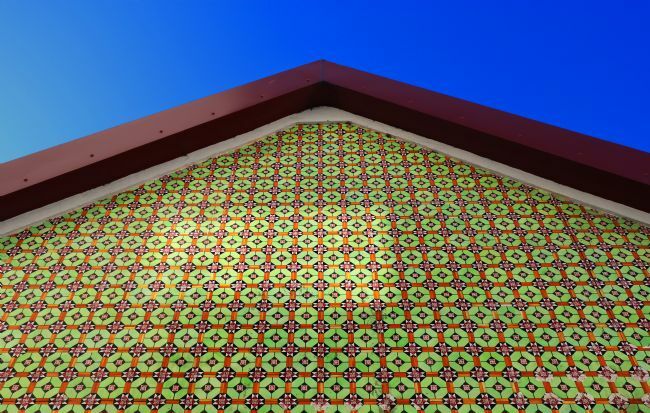 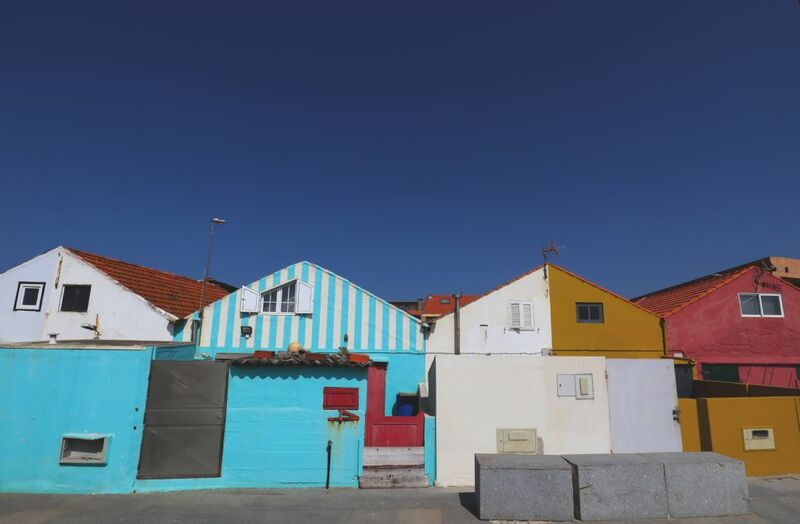 A traditional home captured in Figueira da Foz, Portugal. 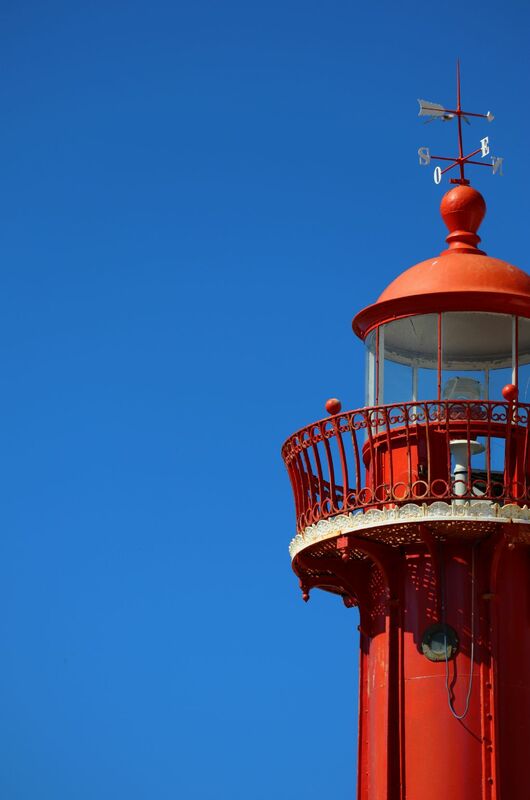 The attractive lighthouse at Figueira da Foz was built in 1968 and is situated at the Northern end of the breakwater at the entrance to the Mondego River. 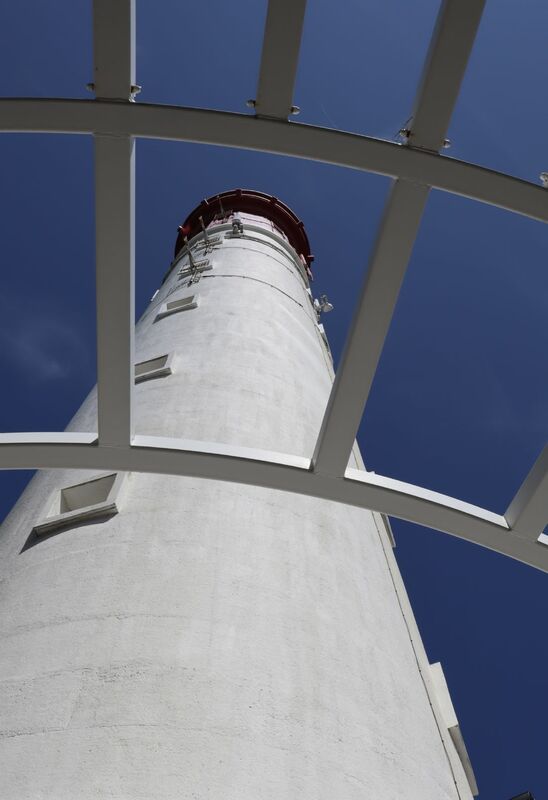 An abstract image of the attractive lighthouse at Figueira da Foz in Central Portugal. 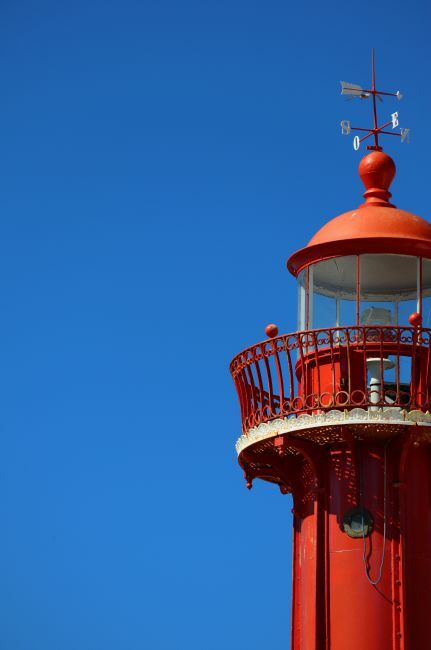 The lighthouse was built in 1968 and is located at the end of the north breakwater at the entrance to the Mondego River. 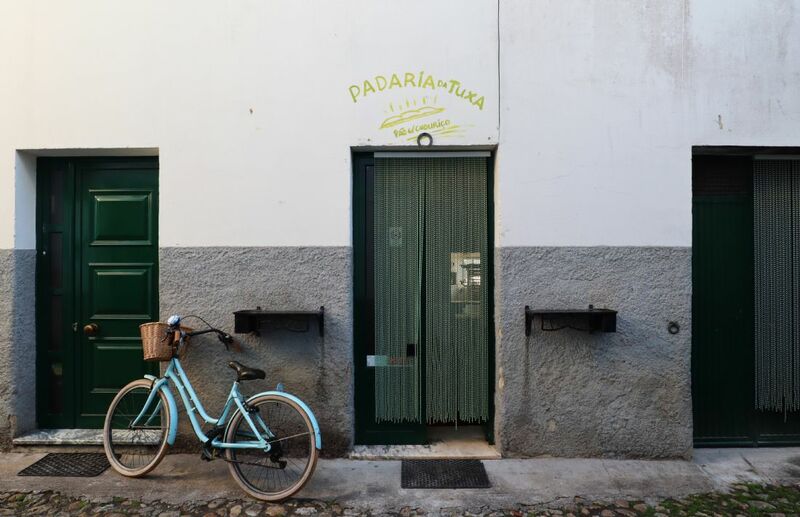 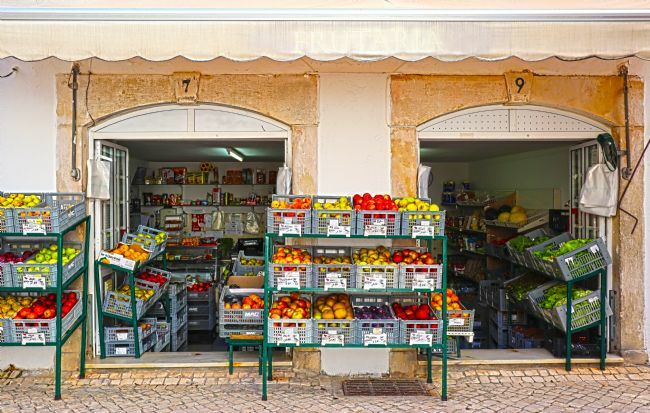 A colourful fruit and vegetable shop captured in one of Coimbra’s atmospheric back streets. 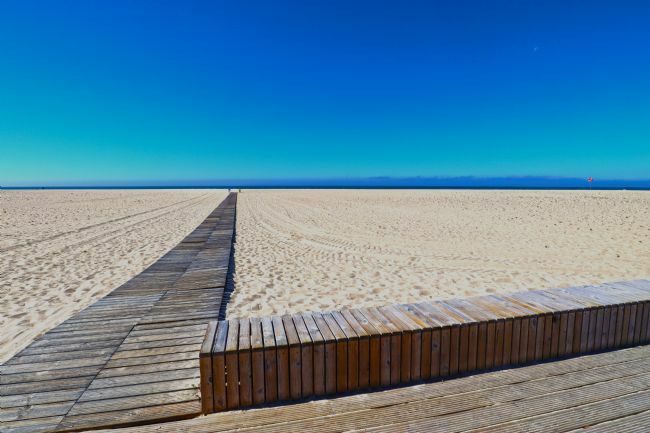 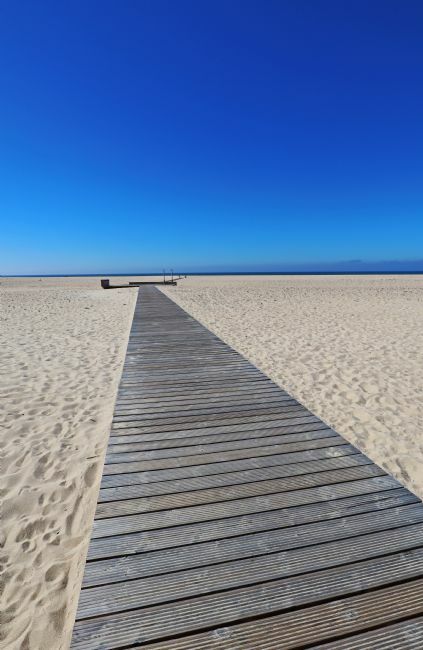 Monday morning on Figueira da Foz Beach in Central Portugal. 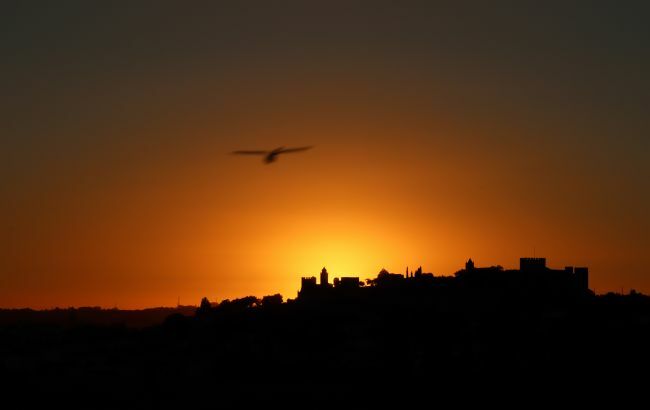 Sunset over Castelo do Montemor-o-Velho at the end of a beautiful October day. 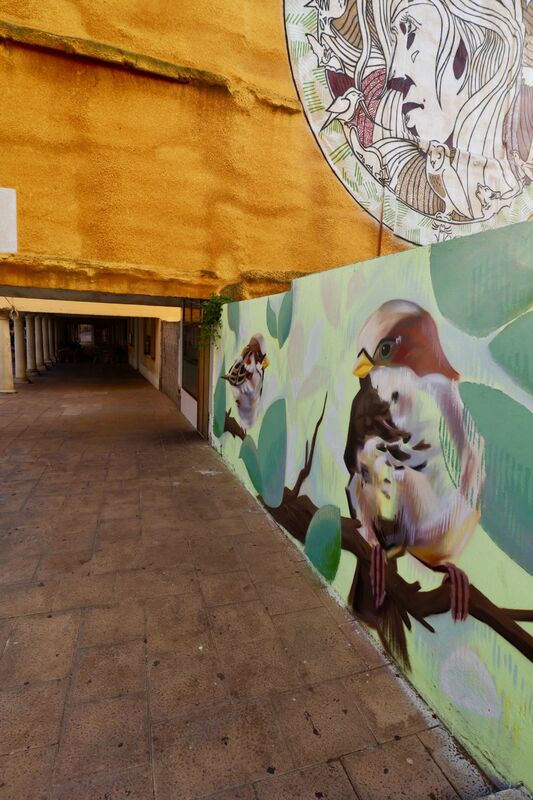 The exposure was longer allowing movement to be observed in the bird flying past. 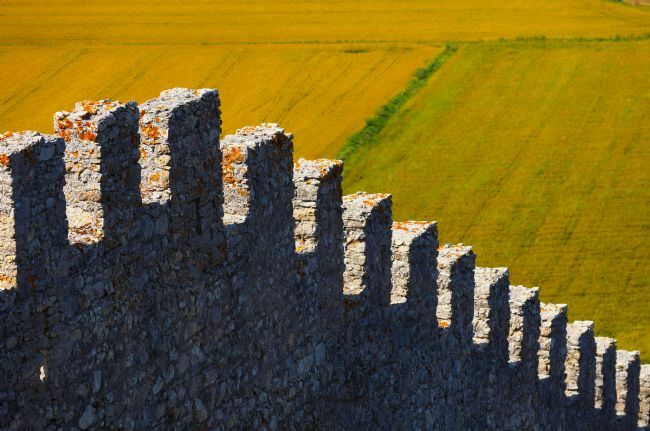 An abstract image captured from inside Castelo do Montemor-o-Velho depicting the ancient outer walls of the castle and the rice fields below. 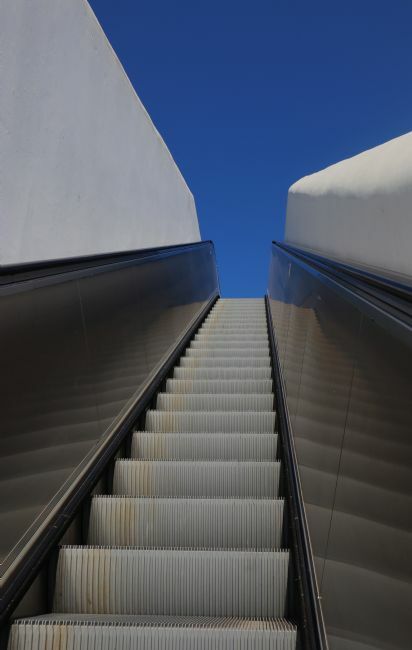 Abstract image depicting one of a three stage series of open air escalators built to transfer people from the small town of Montemor-o-Veloh to the Castle at the top of the hill behind the town. 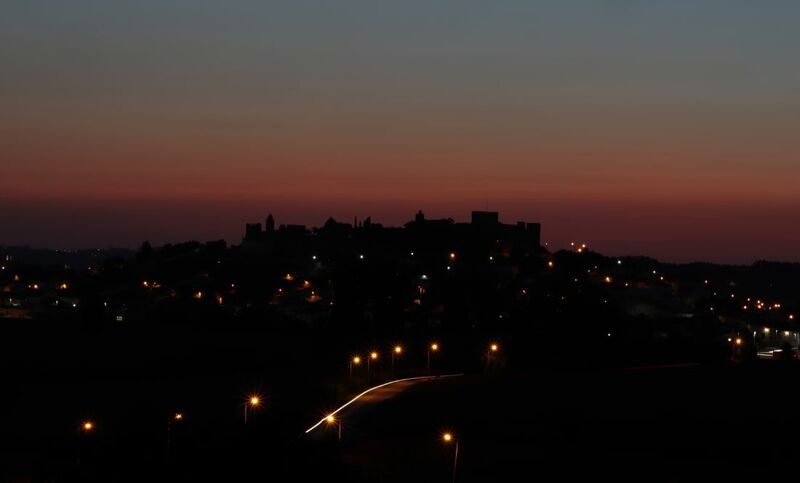 Castelo do Montemor-o-Velho at sunset. 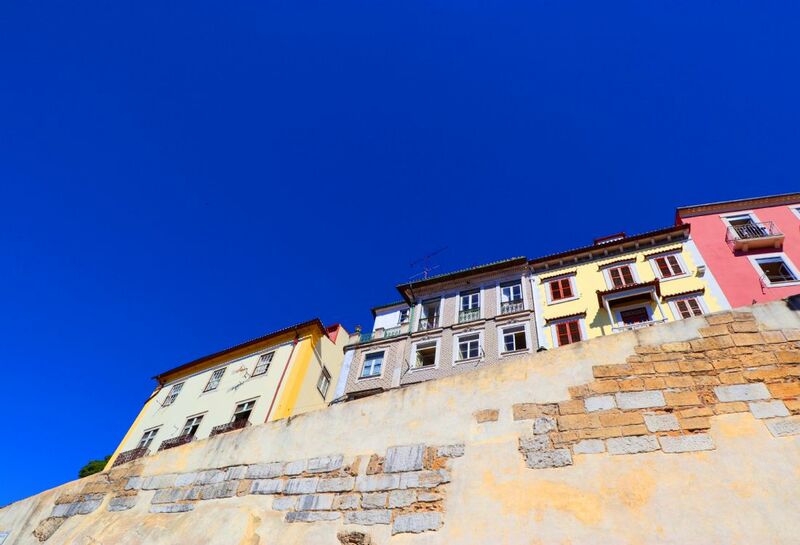 The castle is perched on a hill 25km west of Coimbra, Portugal’s third largest city. 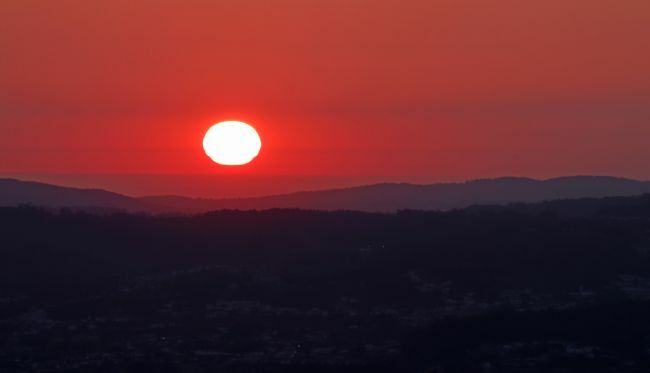 Sunset from the Penha, the mountain south of Guimaraes. 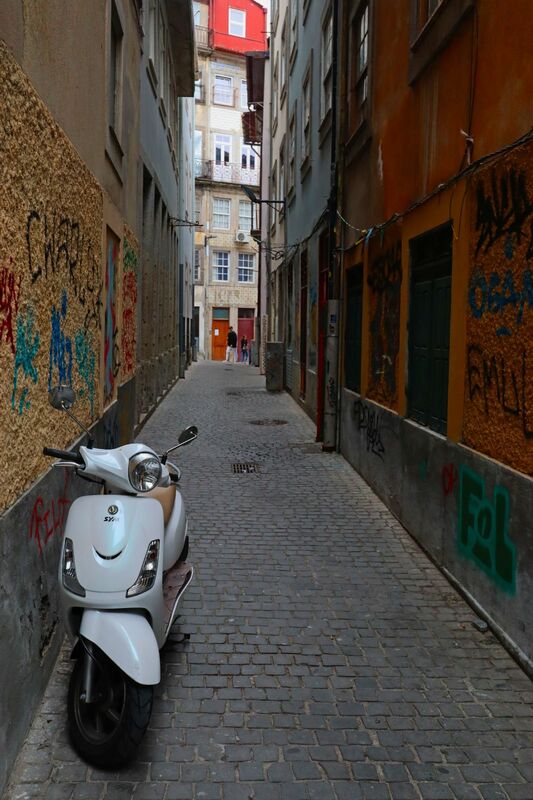 An interesting alleyway in Porto adorned with graffiti. 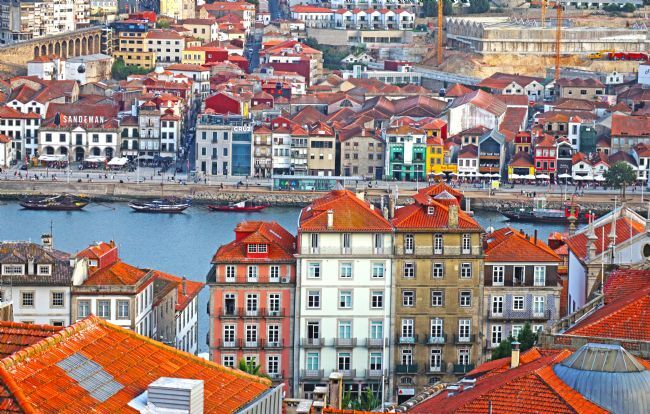 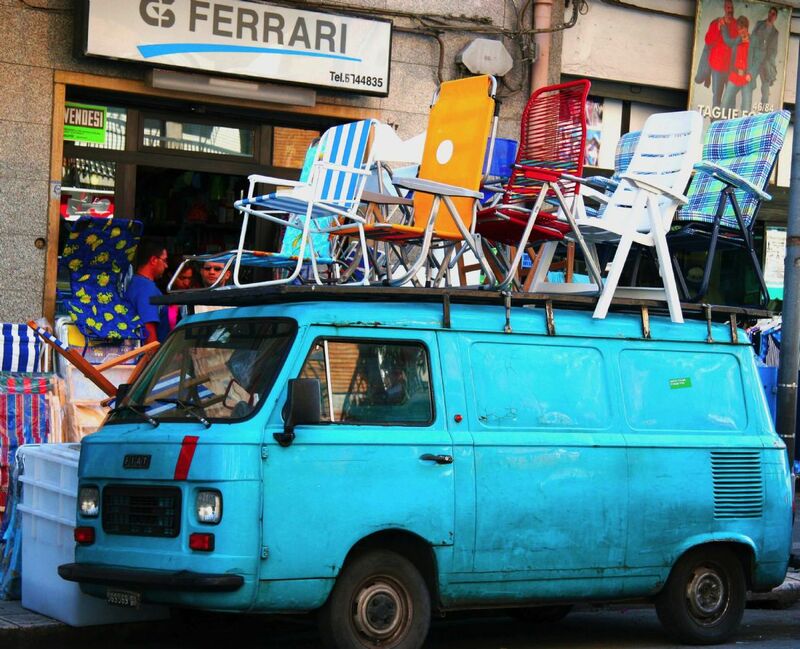 Image captured from a high vantage point in Porto. 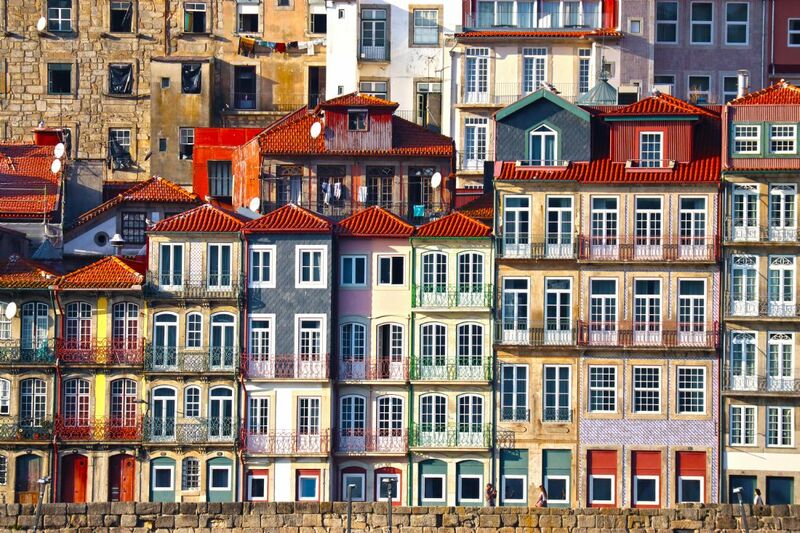 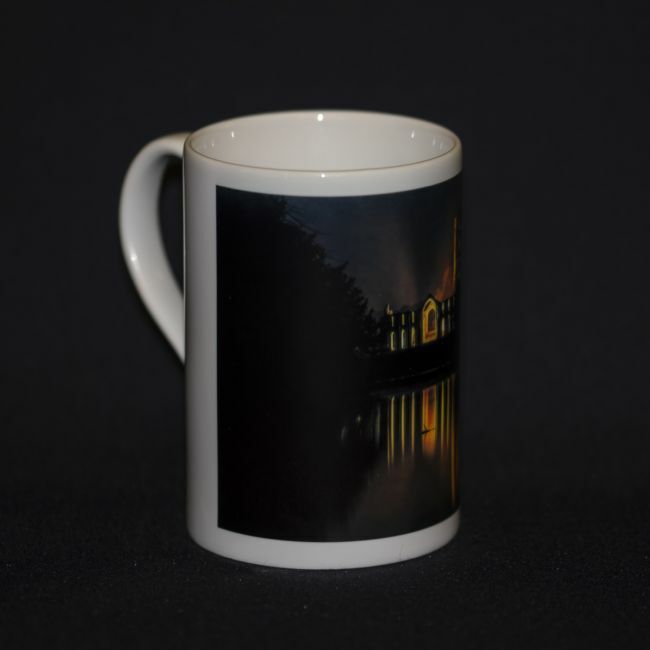 The terracotta tiled roofs, River Douro and the character of the period buildings are evident in this L S Lowry inspired photograph. A landscape image depicting the Douro River Valley with the river running through it. 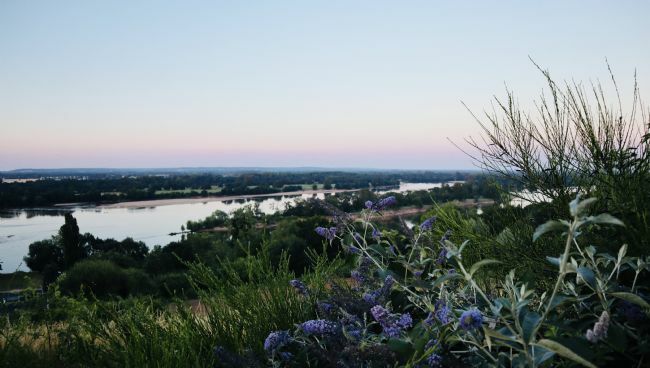 Vines line the banks of the river. 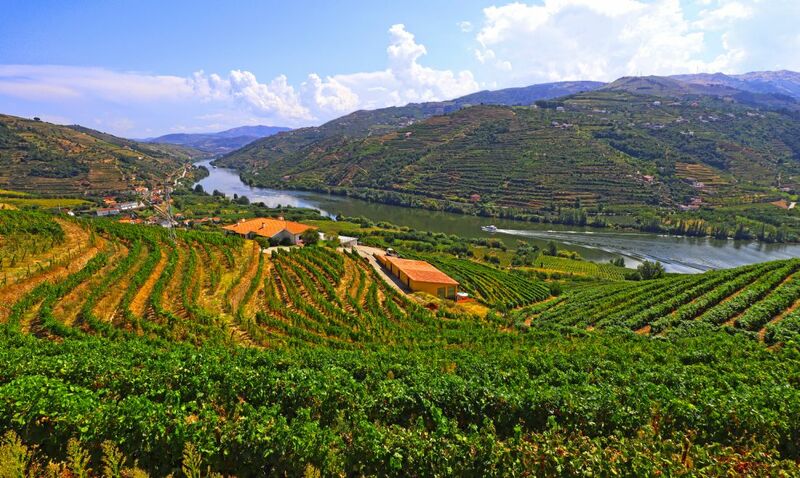 The Douro River region is the oldest wine producing region in the world. 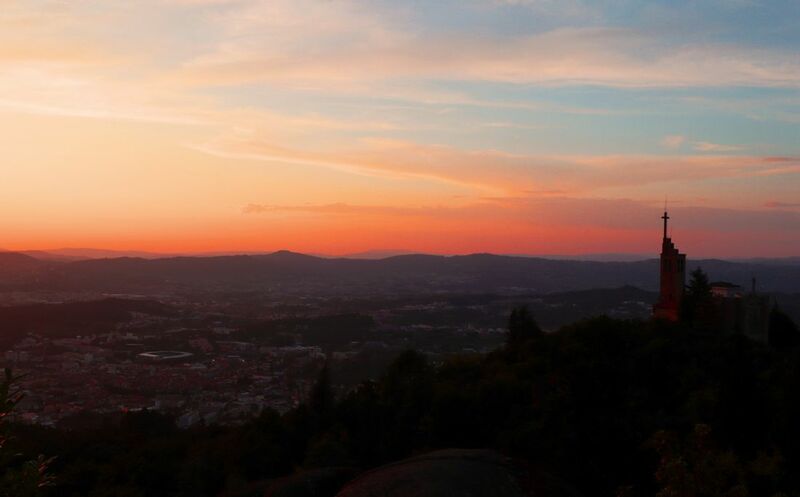 Image captured from the highest point at Penha looking west across the city of Guimaraes to the Atlantic Ocean in the distance. 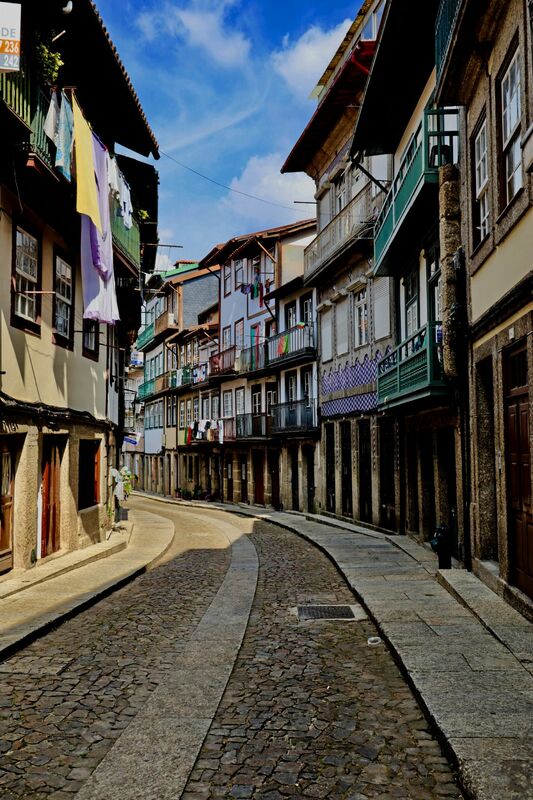 An afternoon street scene in the beautiful medieval town of Guimaraes in Northern Portugal. 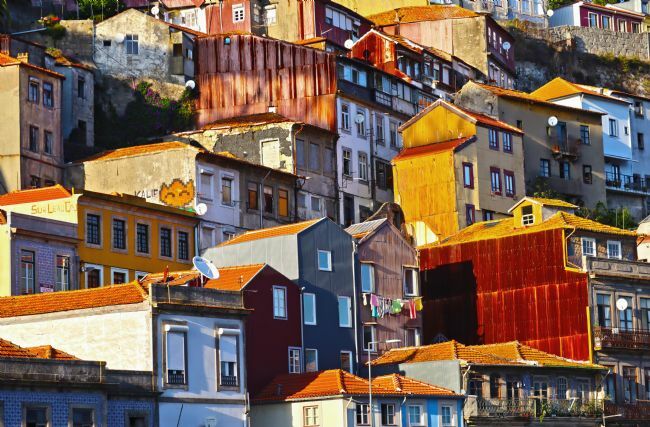 The scene depicts the traditional tiled houses with ornate iron clad balconies often used for drying laundry and observing life in the street below. 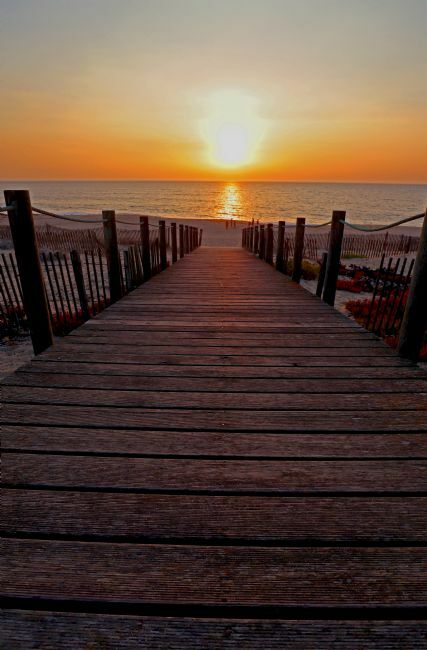 Looking down one of the boardwalks across Angeiras Beach at Sunset. 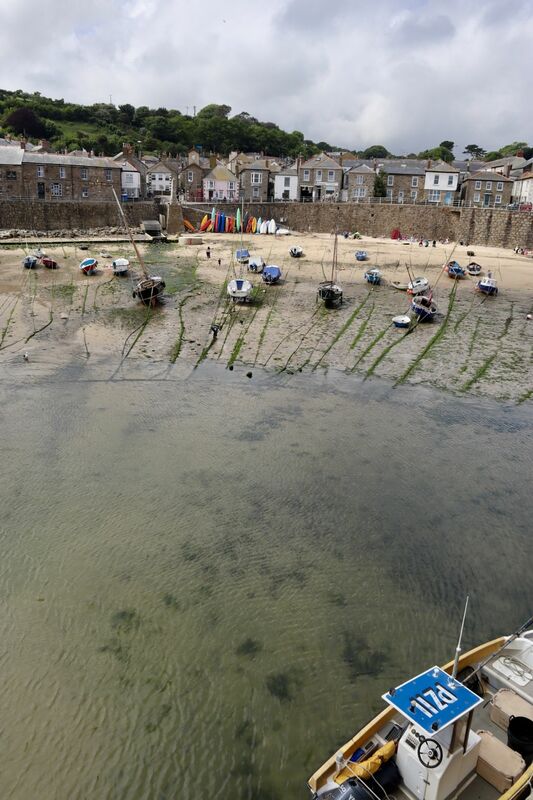 A family plays on the beach and gulls squeal in excitement at the recently landed fish. 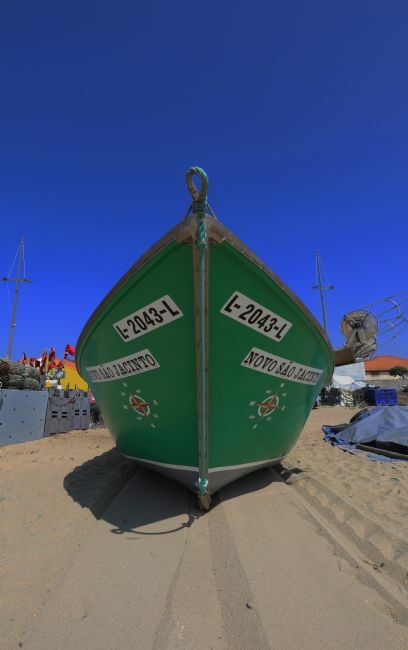 The fishing boats in the small village of Angeiras all live on the beach and are pulled into position by a tractor after a days fishing. 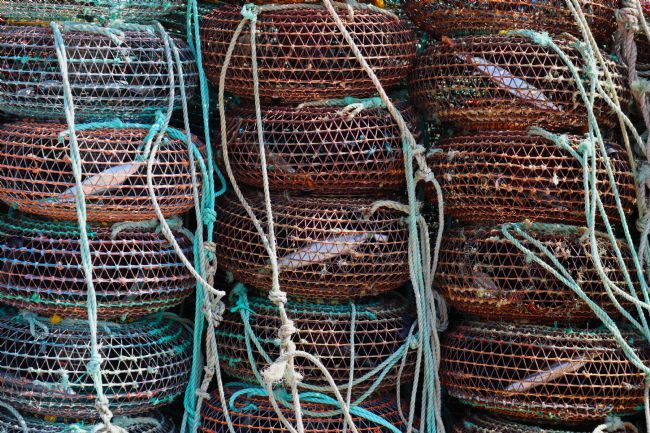 Abstract image of a collection of fishing pots on the sand beside the Atlantic Ocean in Angeiras near Porto in Portugal. A collection of small colourful houses inhabited by fishermen along the sea front in Angeiras Portugal. Graffiti found in A Guarda, Spain behind the harbour. 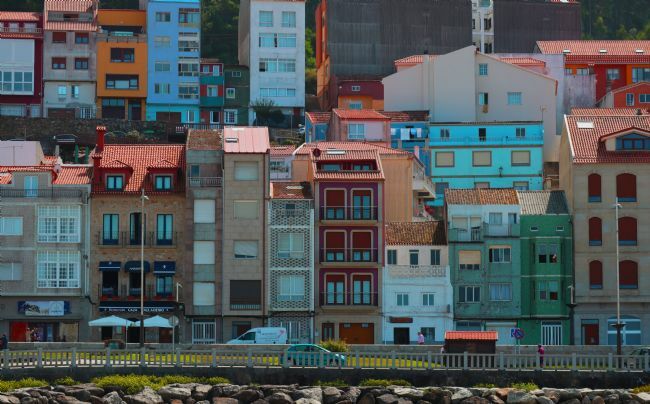 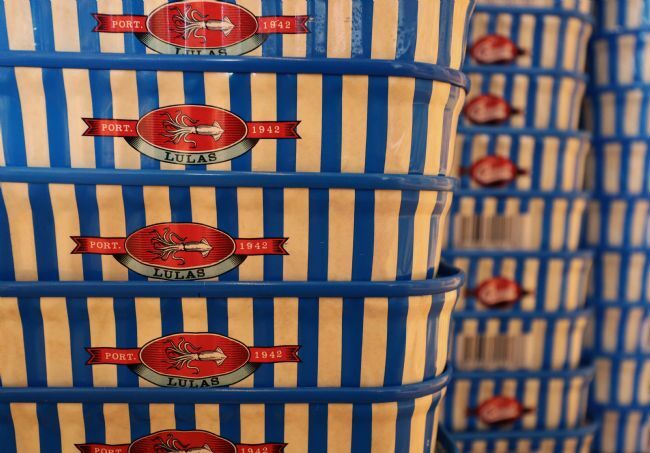 Galifornia as A Guarda is in Galicia! A beautiful white and yellow fronted church in Sahagun, a staging post on the St James Way - an ancient pilgrimage route. 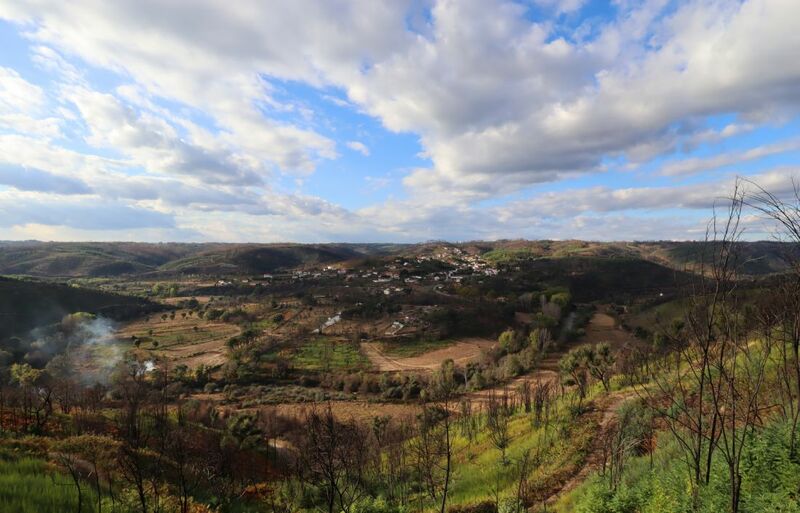 Looking from A Guarda across the Rio Mino to Caminho in Portugal. 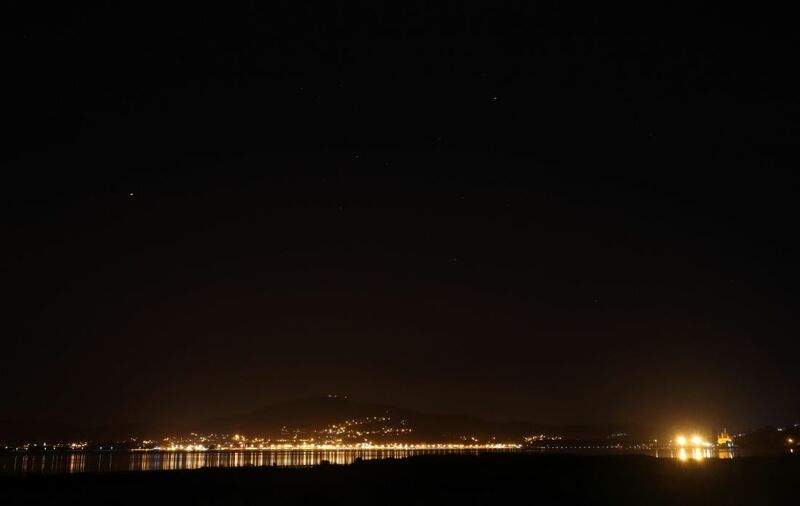 Long exposure shot showing the lights from Caminho reflecting in the river and the stars in the night sky. 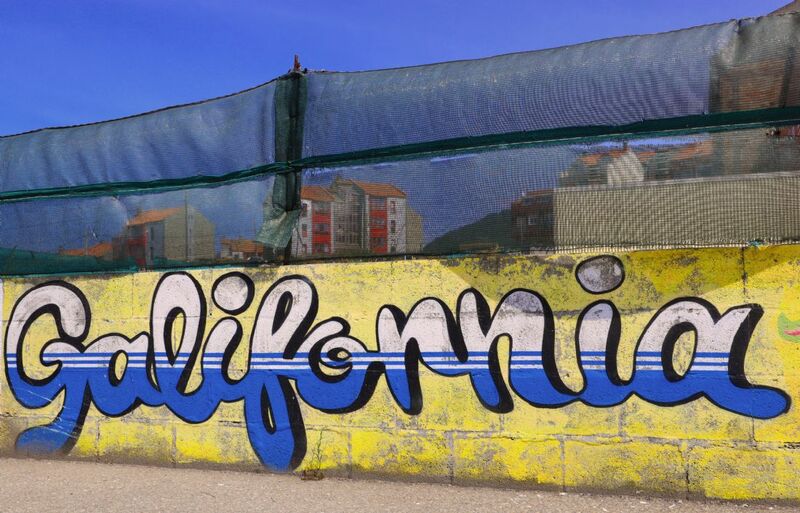 A mural on the Harbour Wall in A Guarda, Spain. 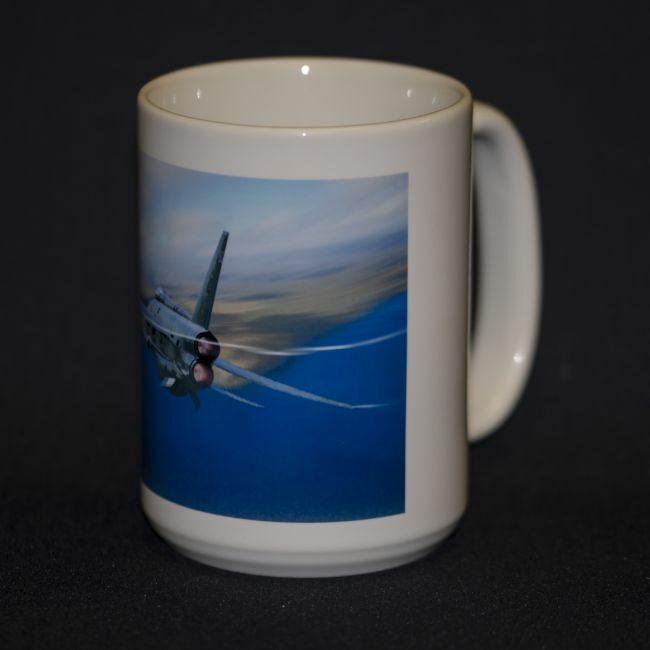 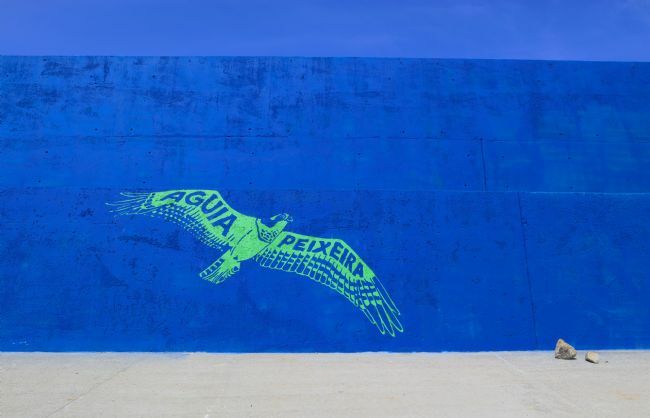 “Aguia Peixeira” means Osprey or Sea Eagle. 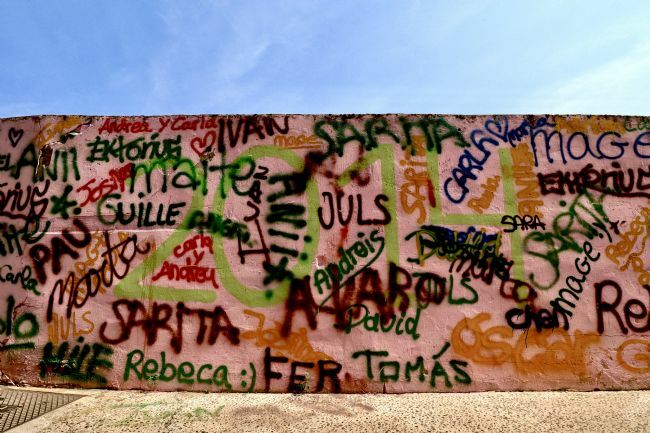 Wall depicting Spanish names found in Sahagun, Northern Spain. A brass pavement plaque observed in the old part of Luga, guiding pilgrims on the Camino, an ancient Pilgrimage route across Spain to Santiago de Compostela. 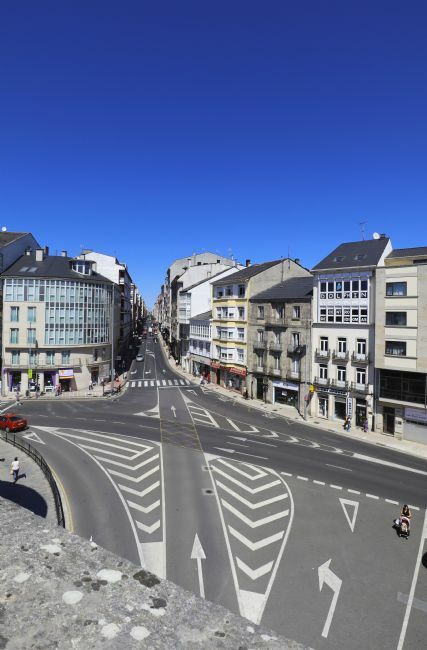 This Roman wall encircles the old town in Lugo, Northern Spain. 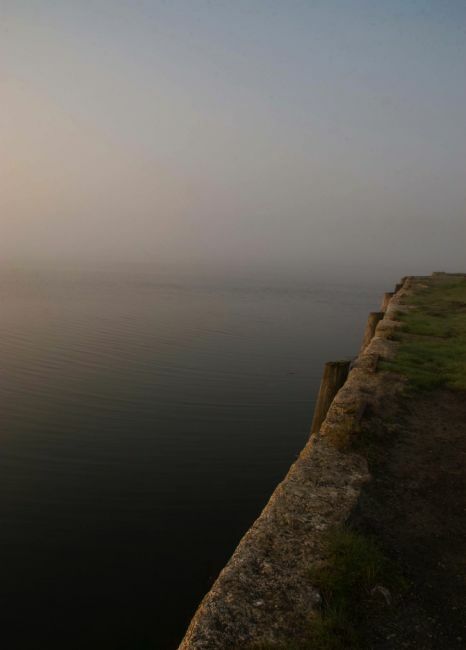 The wall is around 3kms in circumference and very high in places. A footpath straddles the top of the whole circumference of the wall. Image captured from the Roman Wall that surrounds the old part of Lugo in Northern Spain. 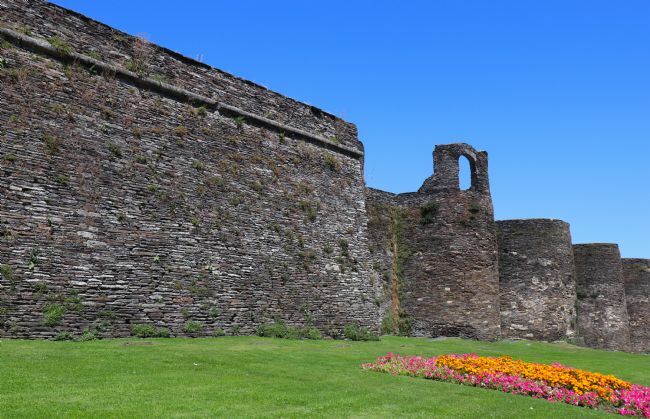 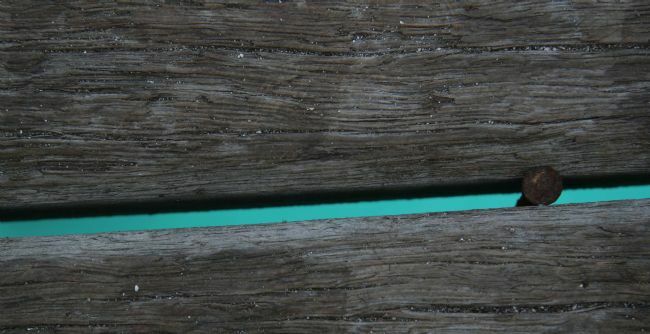 The image gives context to the height of the wall in some parts of its’ circumference. An early evening image depicting the wall art adjacent to one side of the main plaza in Sahagun, Tierra de Campos district of Spain. 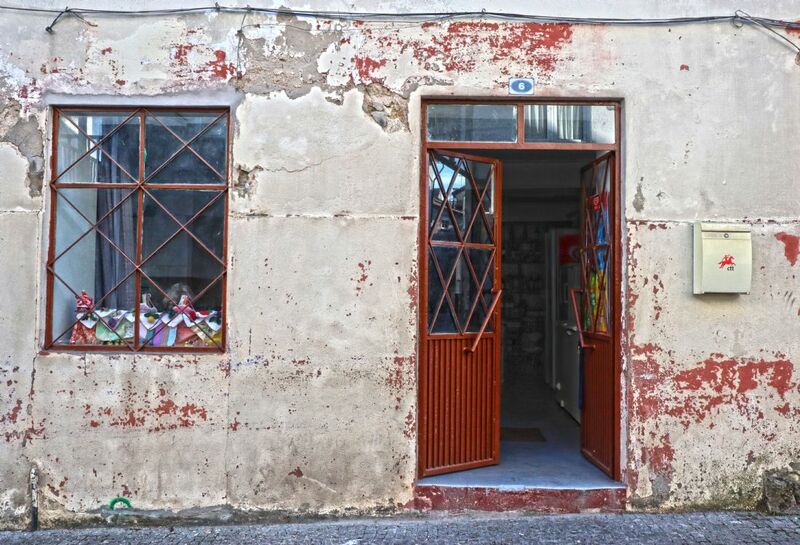 The covered walkway is guarded by fading columns and houses tapas bars and small shops. Image captured from the charming village of Elciego, Basque Country in Northern Spain. 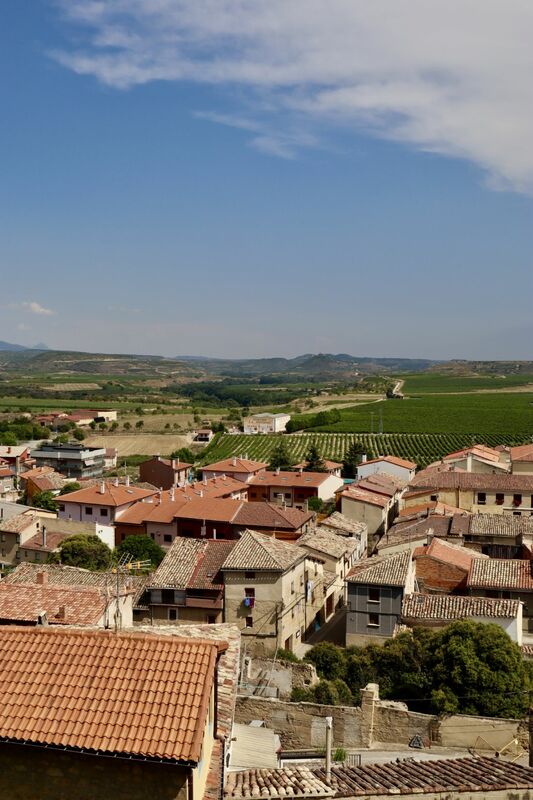 The village is the home of the famous Marques de Riscal Bodegas and a hotel designed by the famous architect Frank Gehry. 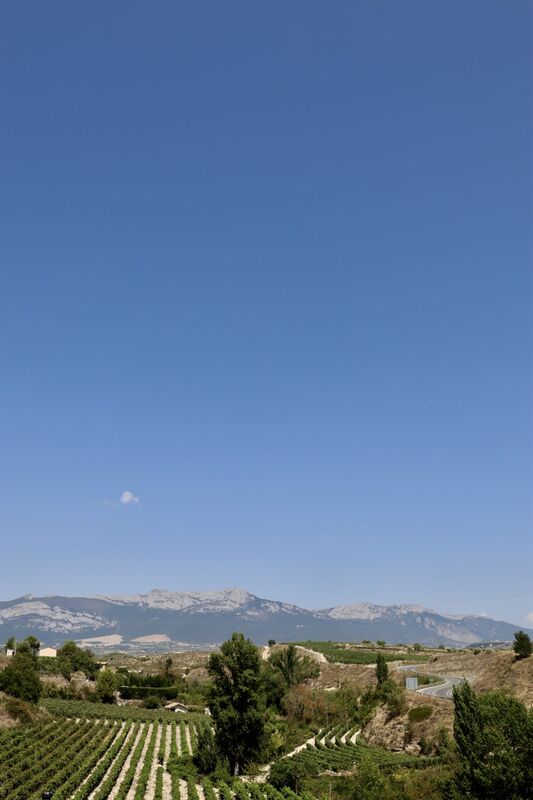 A sign in Haro, Northern Spain enthusing about Rioja. 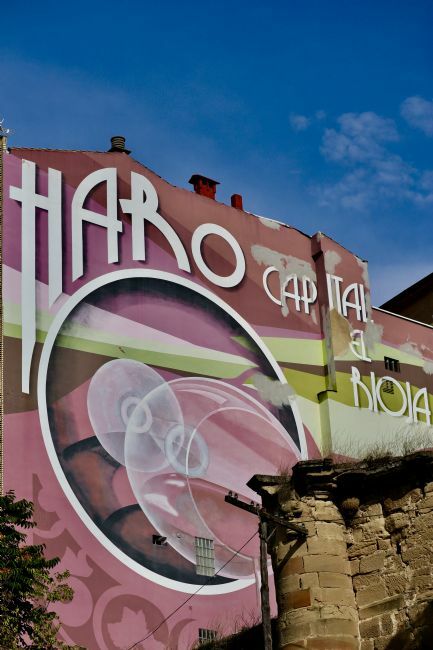 Haro is the capital of Rioja country. I liked the Art Deco theme in this design. 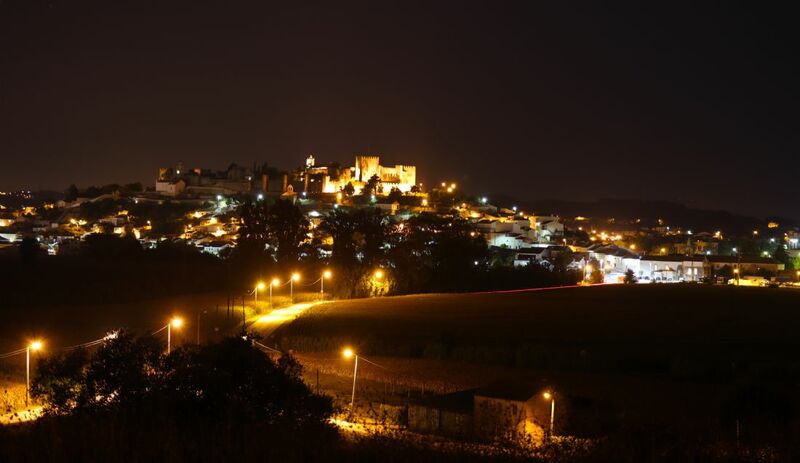 Image captured from the beautiful village of Briones in the heart of Rioja Country, Spain. 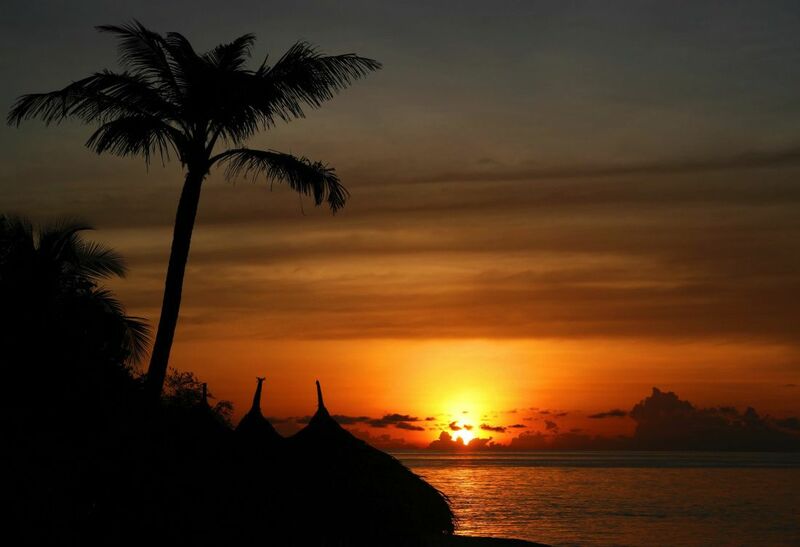 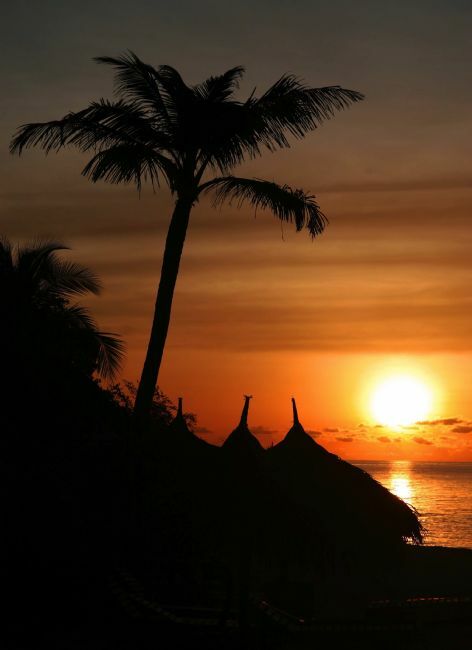 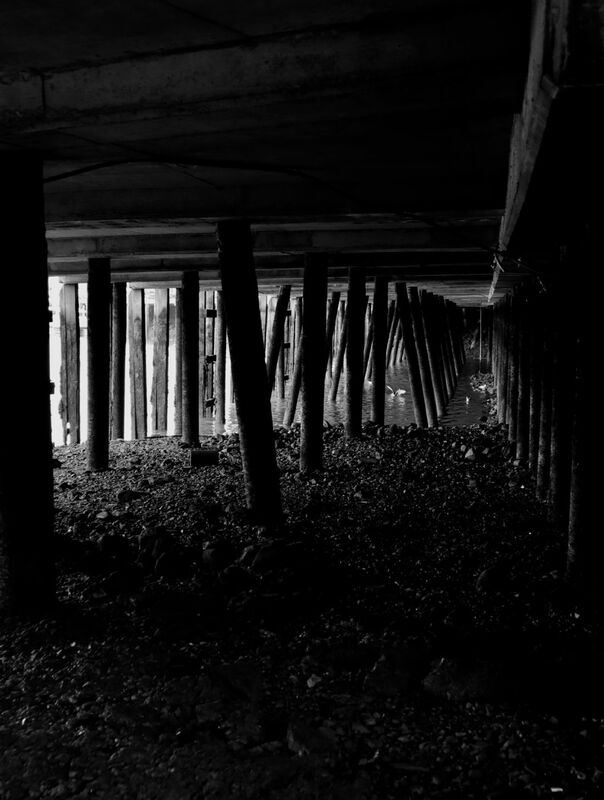 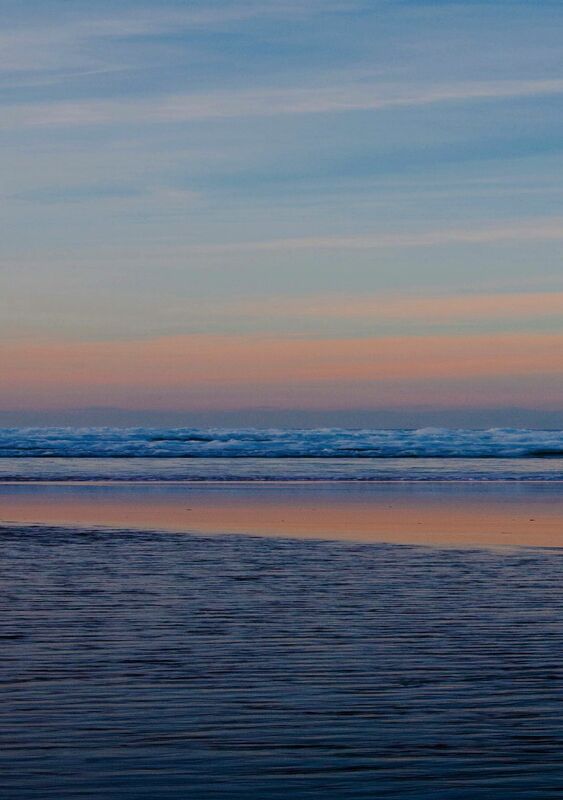 An evening image taken on Truc Vert Beach. 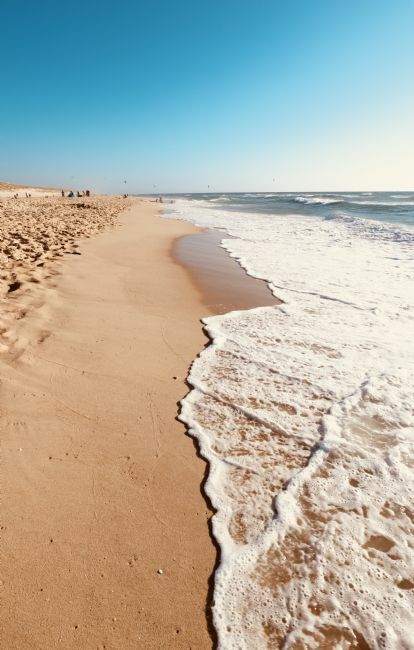 Atlantic Ocean generates big waves and is a popular destination for surfers and kite surfers. 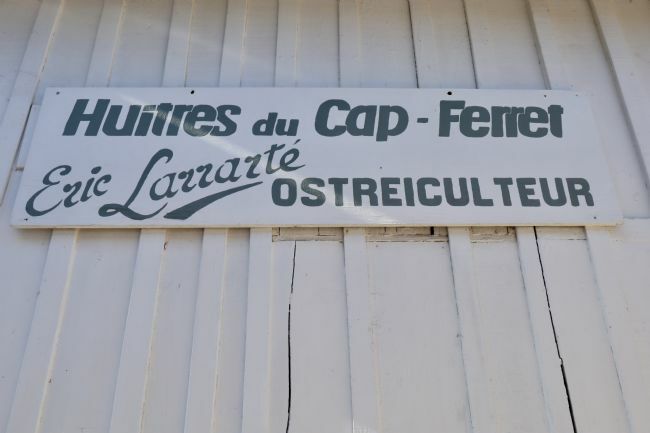 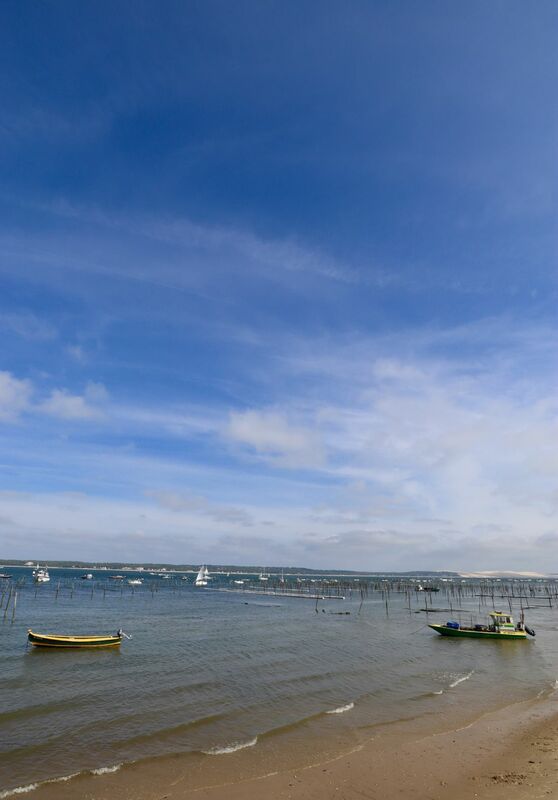 Sign for one of the many oyster farms around the Arcachon Basin in South West France. 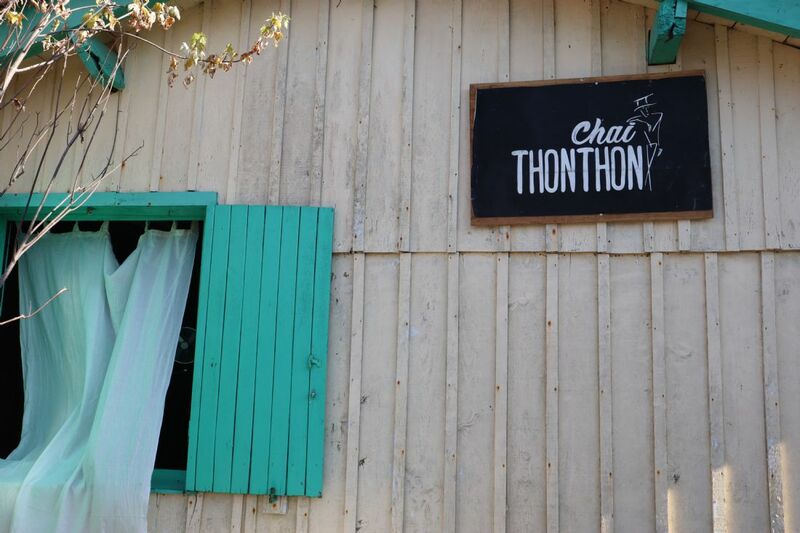 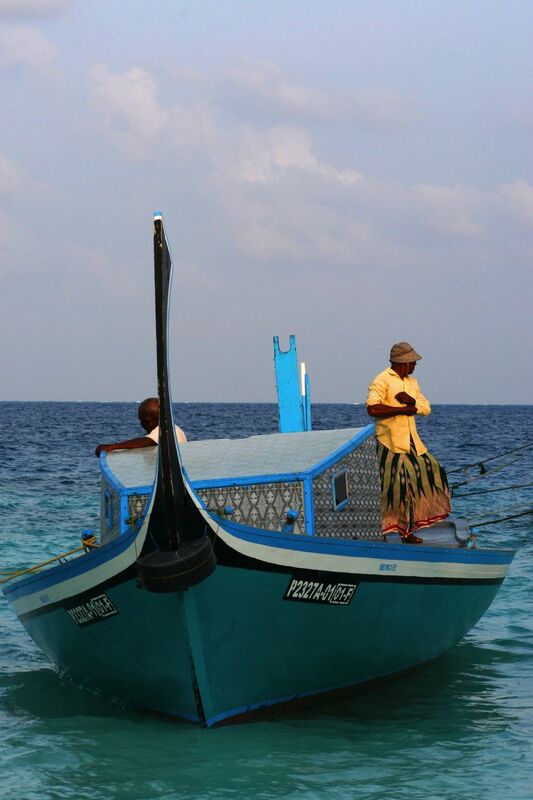 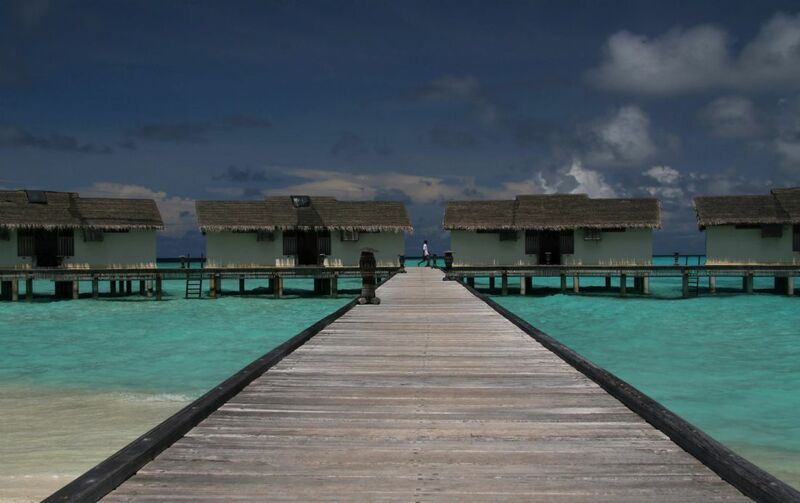 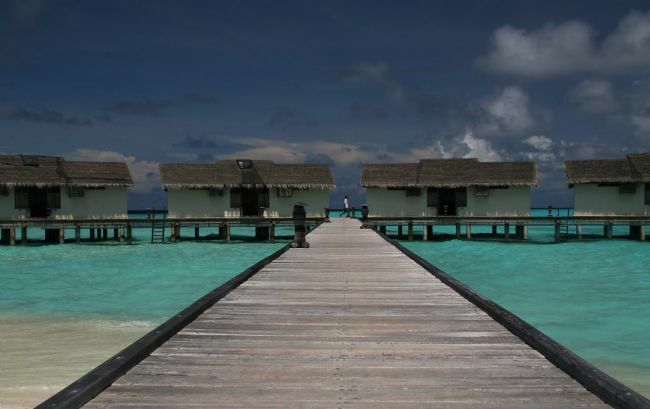 These exquisite villages are made up of wooden shacks where the fishermen live, right on the waters edge. Blue shutters on an oyster fishermans residence in Le Canon, Arcachon Basin. 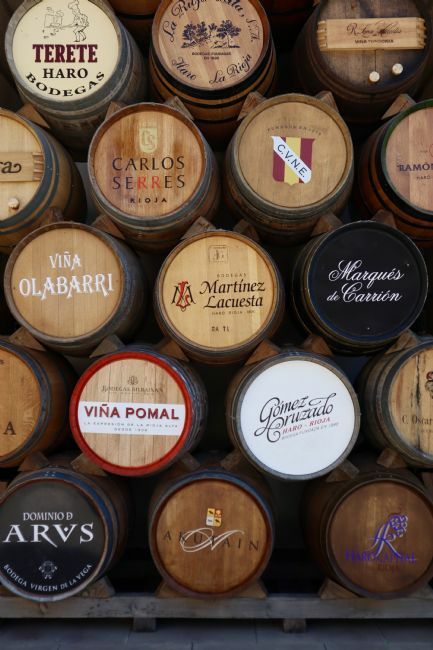 Image depicting a selection of casks containing Rioja from the many famous Bodegas in the region around the town of Haro. 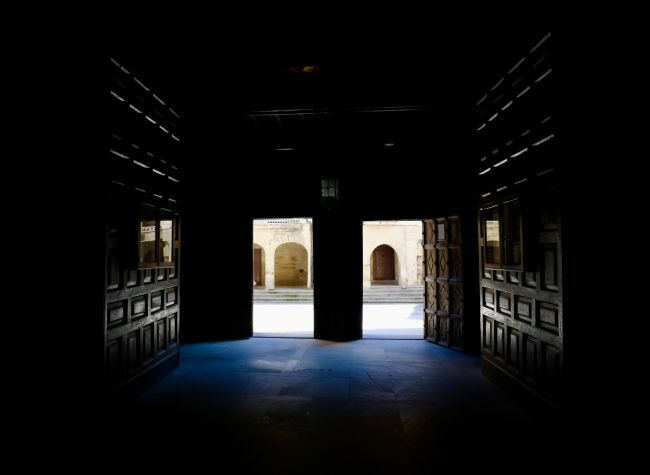 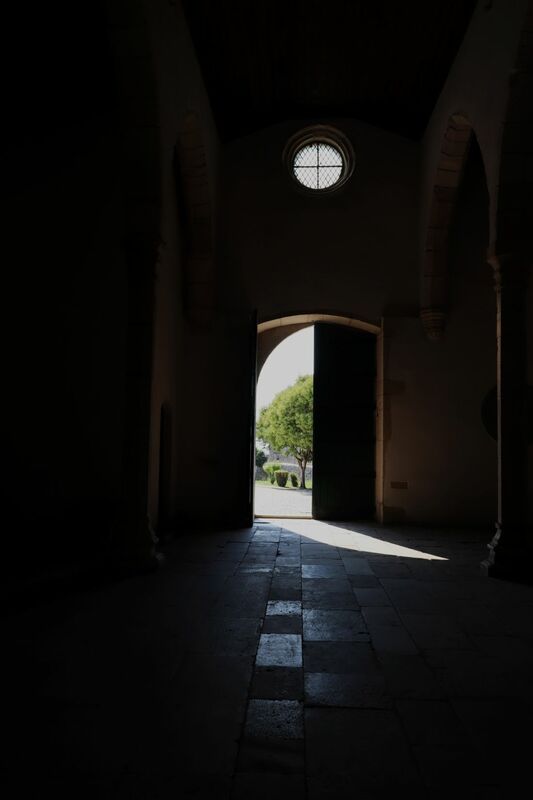 An image captured from inside the doors of the magnificent Santo Tomas Church in Haro, Spain. 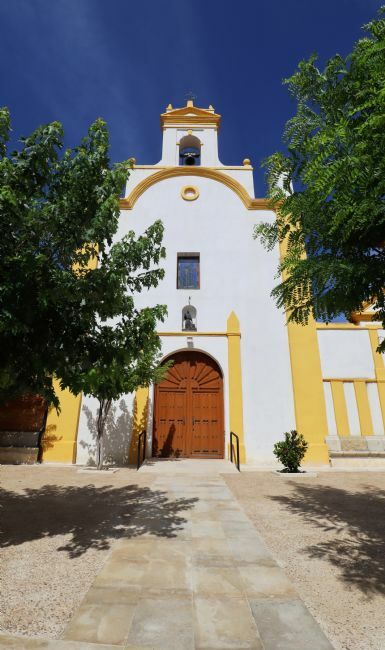 This main entrance to the church is the work of Felipe Vigarny and is of important architectural heritage. A breezy early evening in Le Canon. 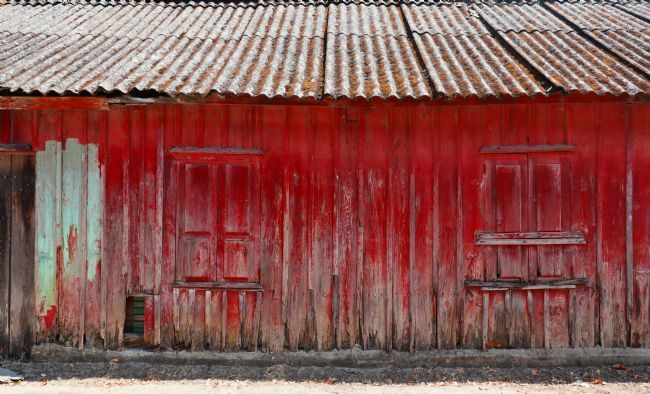 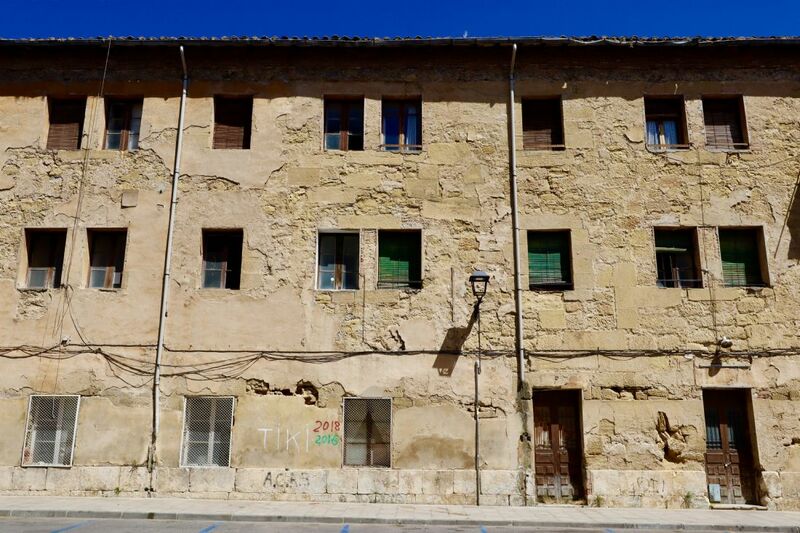 A large and dilapidated building on the outskirts of Haro, Northern Spain. 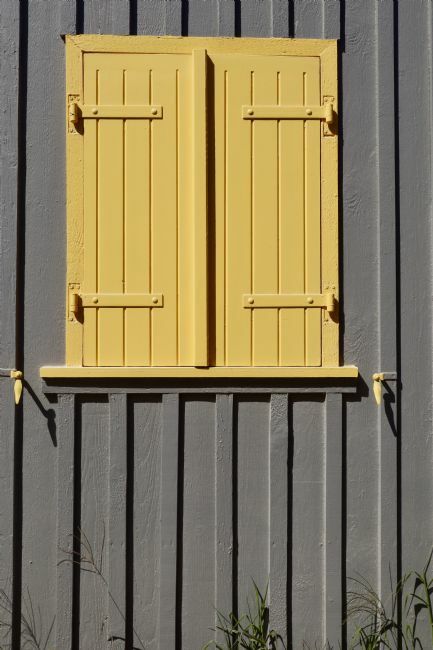 I liked it for its simplicity and symmetry. 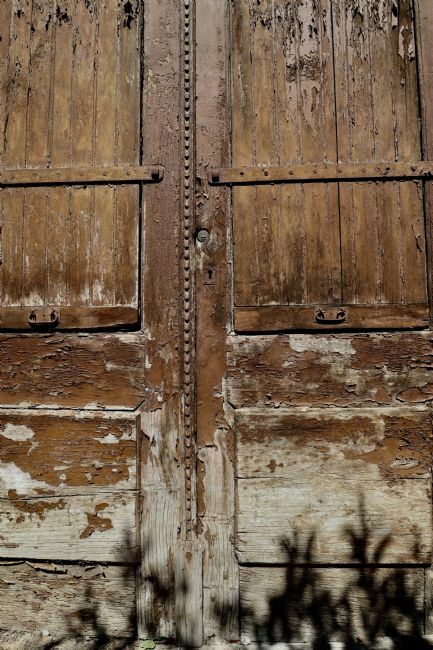 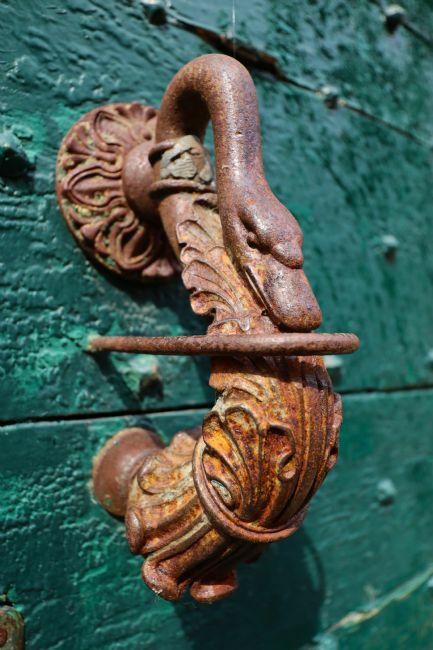 An ornate door to a derelict and ancient building in Haro, Spain. 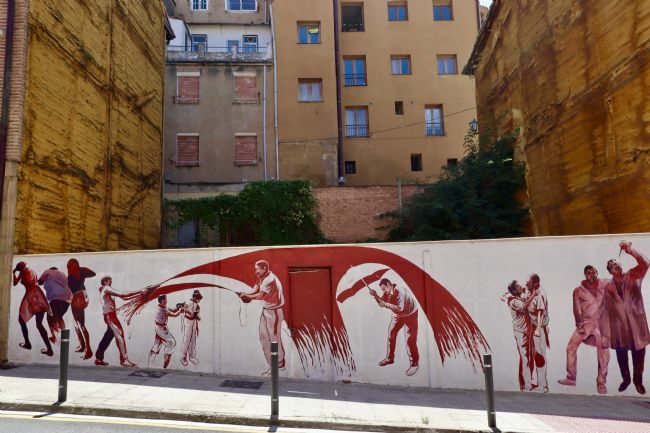 A mural disguising a building plot on the outskirts of Haro, Northern Spain. 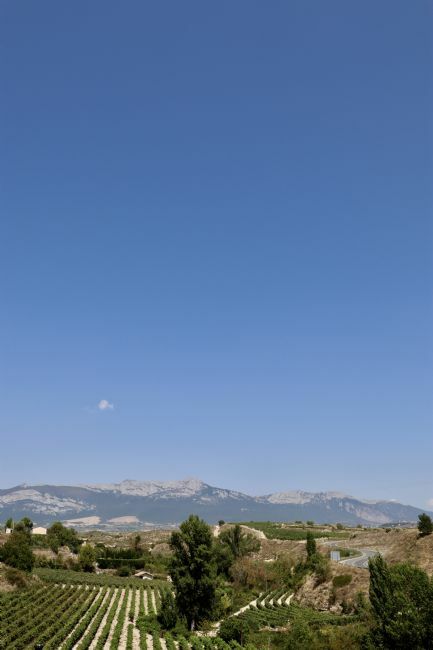 It shares the joy and impact that Rioja has on the communities in this area. 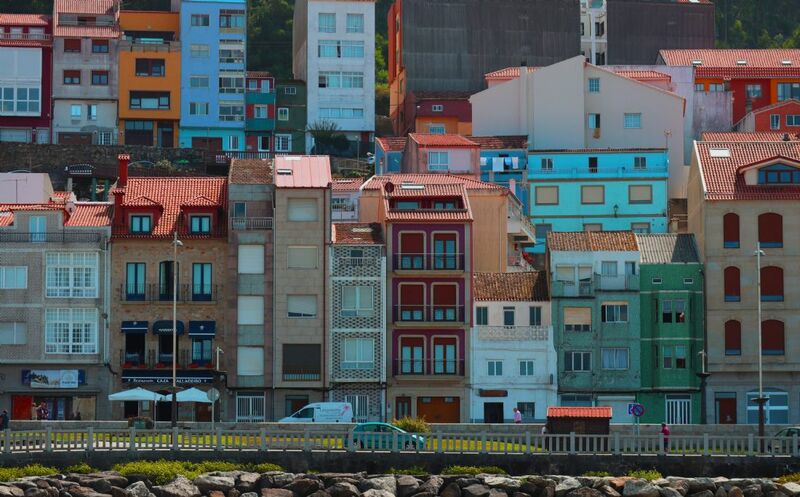 Mid day street scene in Haro, Northern Spain. 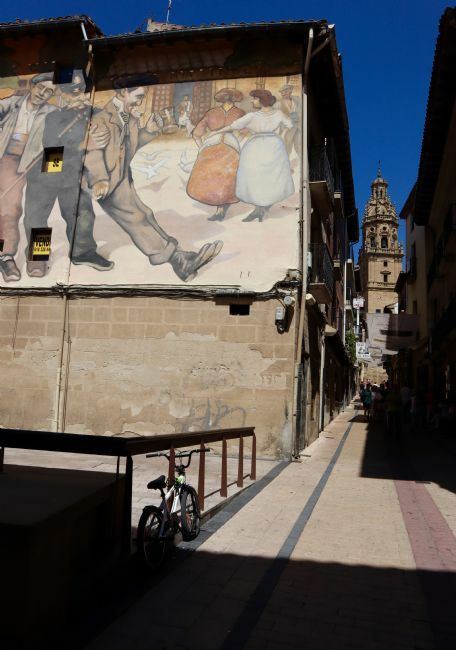 Haro is the Rioja capital of Spain and the small alley ways in the town are punctuated with bars selling ponchos and Rioja and wine shops. 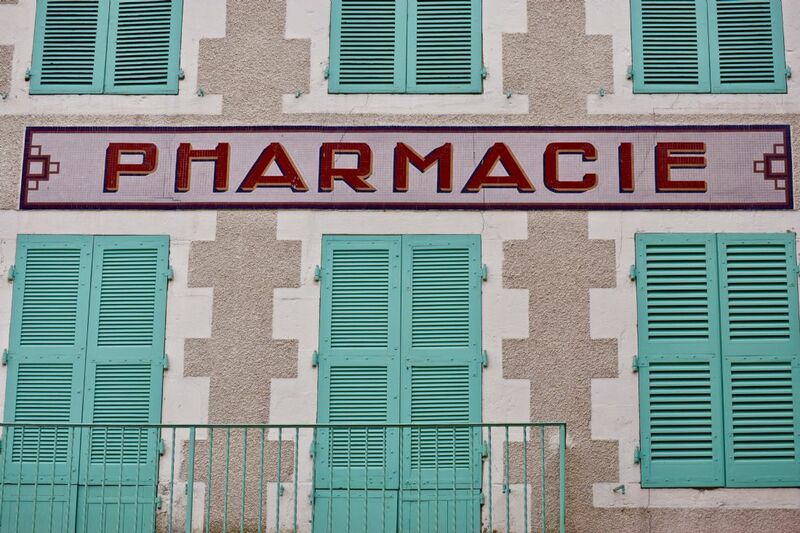 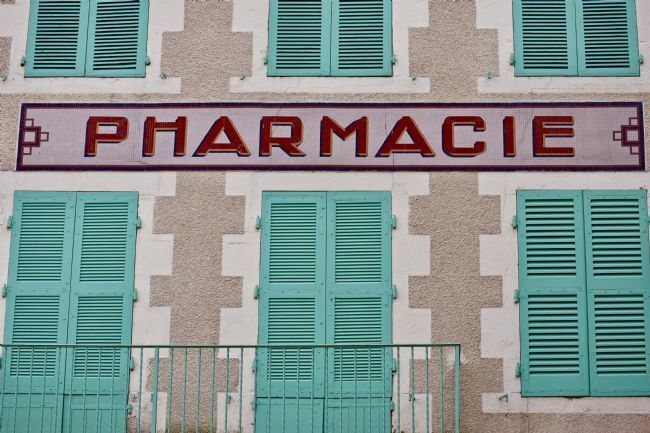 A vintage Kina Lilet advert on the side of a house in St Germain de Confolens. 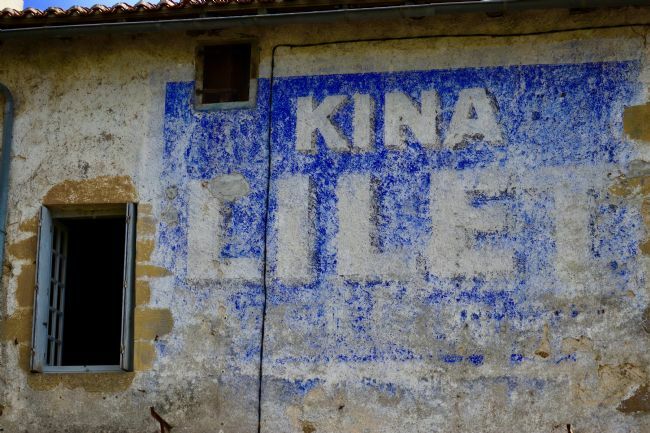 Kina Lilet is a French wine-based aperitif. 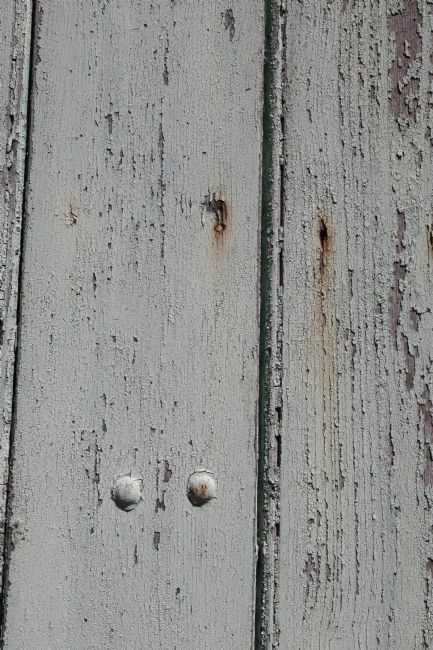 The image captures the texture of the wall and fading dominance of the original art work. 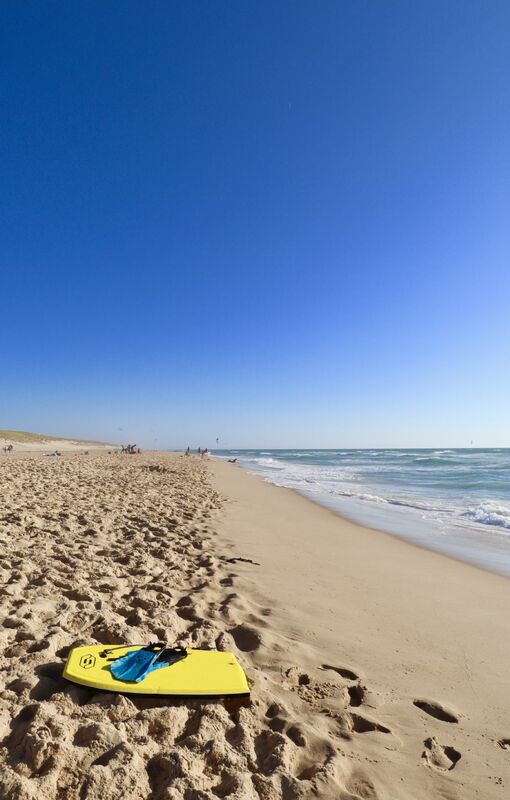 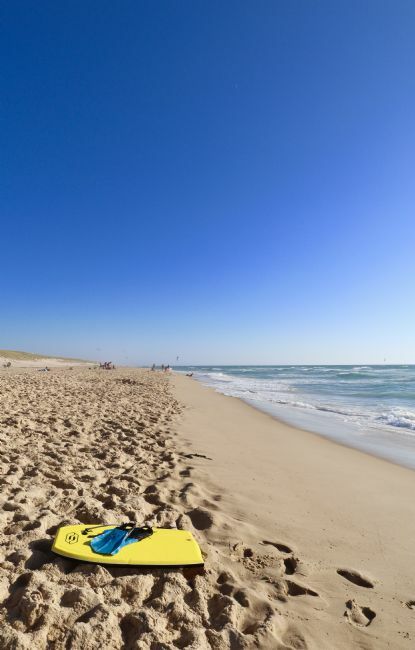 An image captured in the early evening on Truc Vert Beach near Cap Ferret - popular with kite surfers. 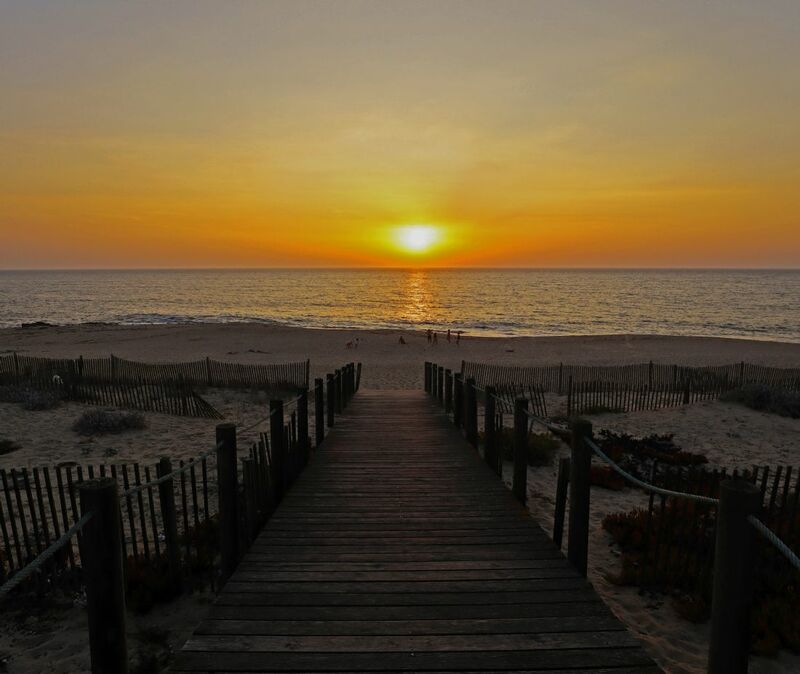 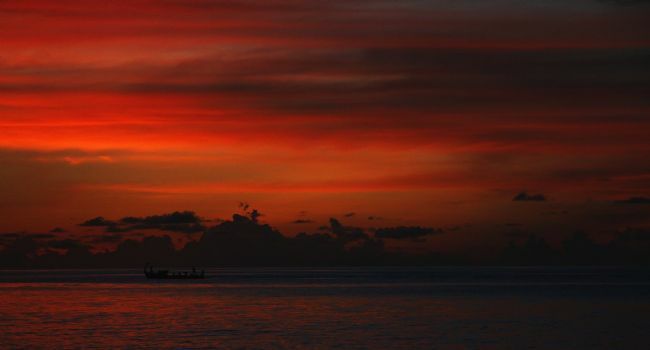 An evening image captured from the beach in Le Canon. 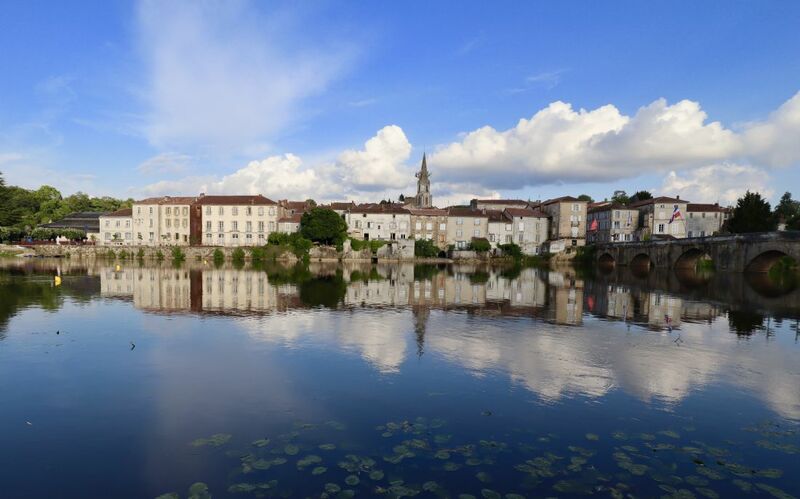 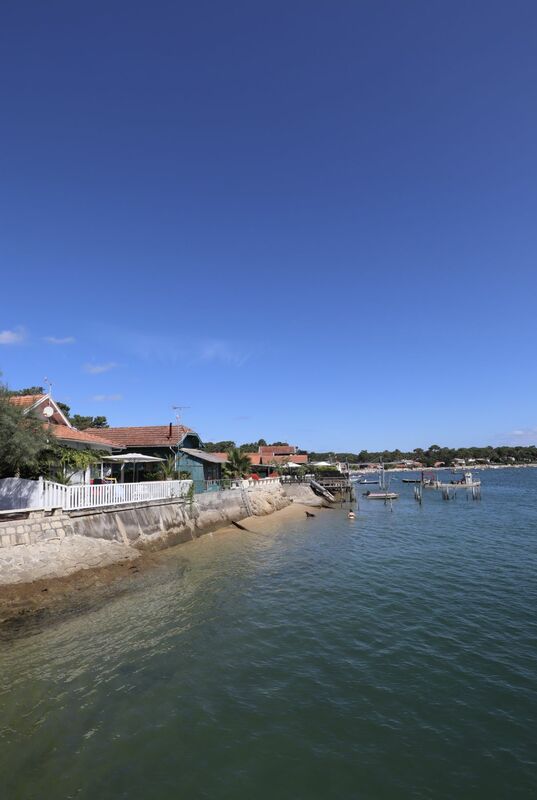 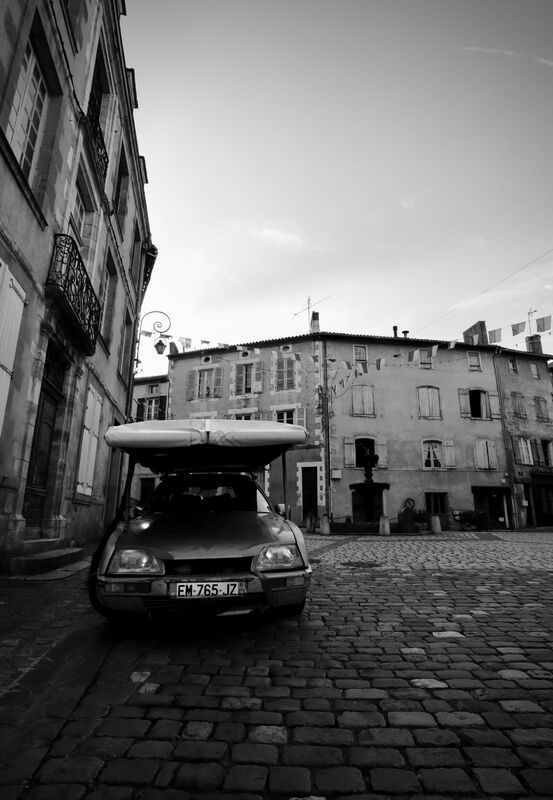 This is a village on the Arcachon Basin known for oyster fishing and looks across the basin to Arcachon. 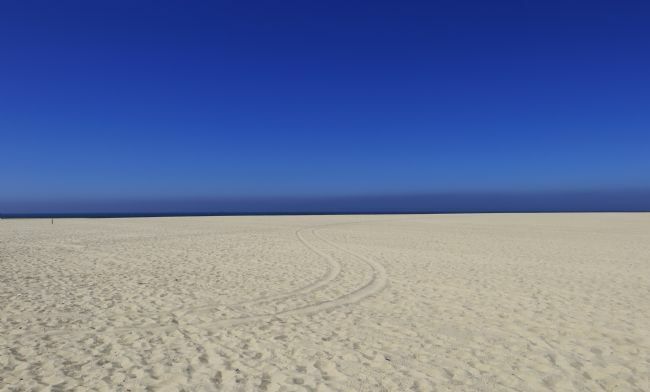 To the right of the picture you can see in the distance Europe’s largest sand dune. 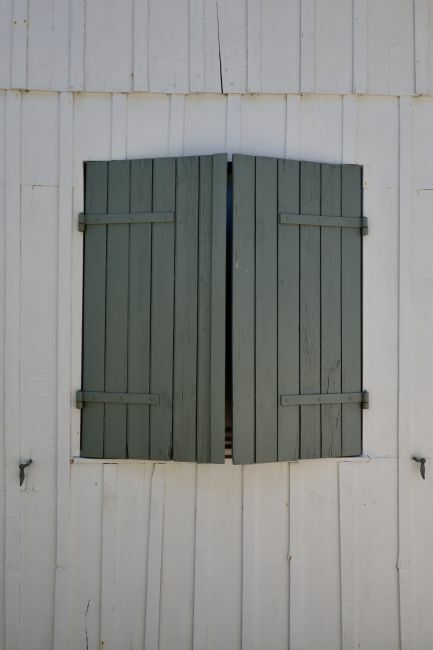 Shutters in a small oyster fishermans house in Le Canon, Arcachon Basin, France. A vintage pair of shutters found in L'Herbe Arcachon Basin, France. 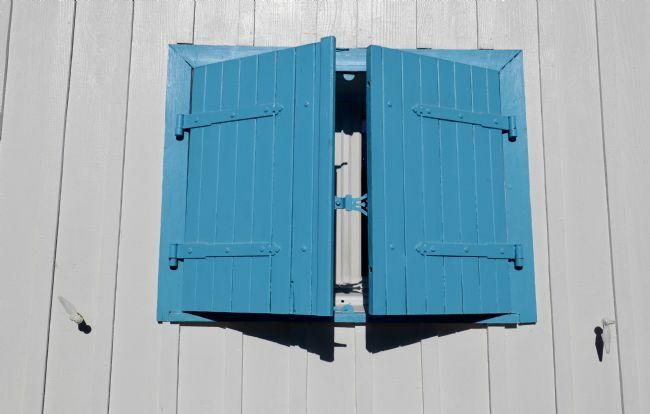 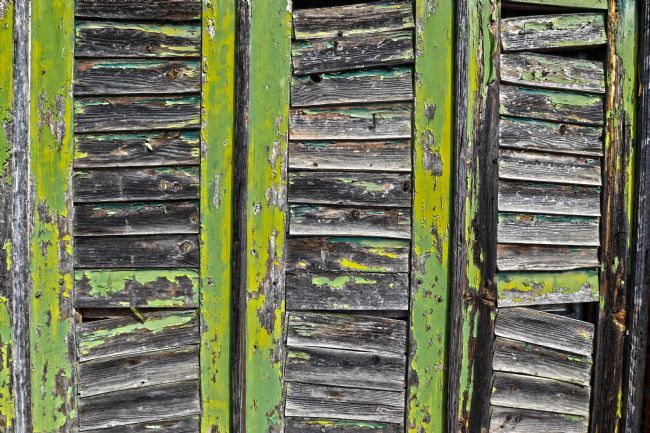 The shutters cover a window in a fishermans shack. 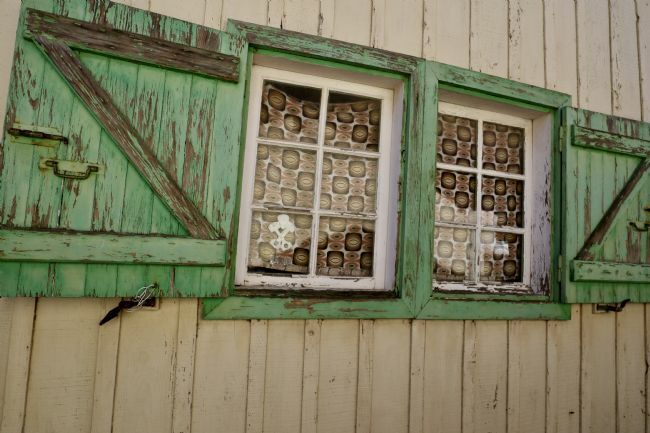 A window with character found in L'Herbe, Arcachon Basin, France. 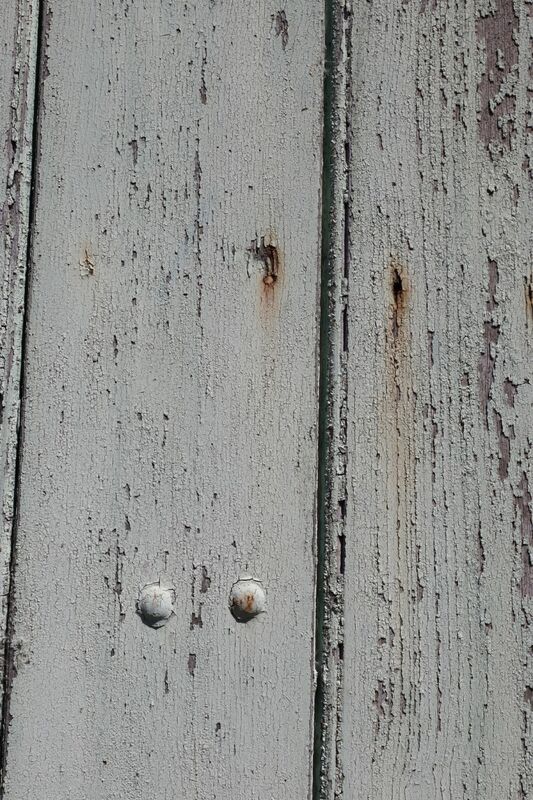 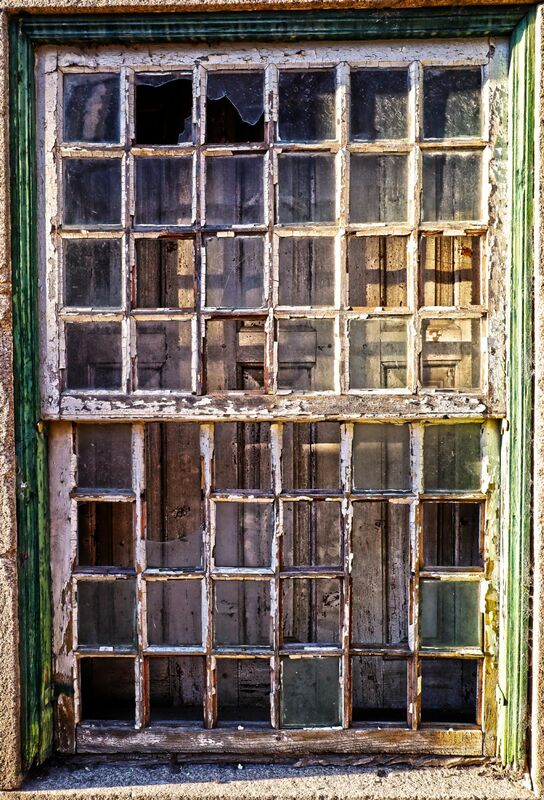 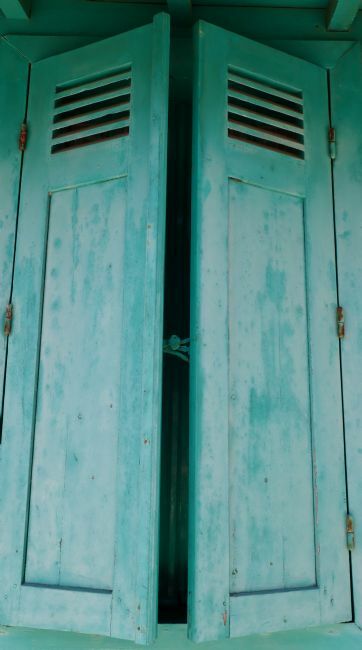 This window and shutters belong to an oyster fishermans shack next to the ocean. 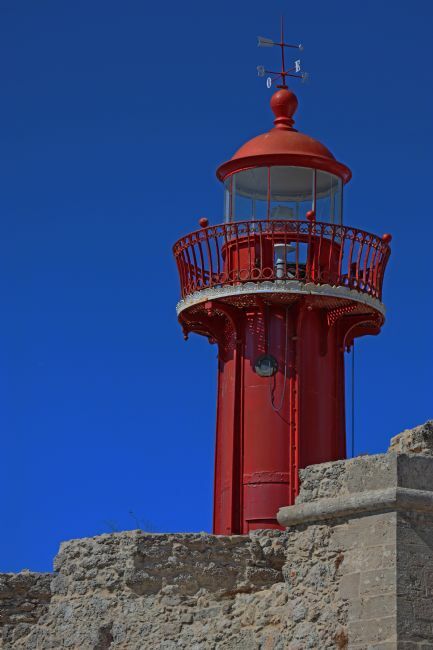 An abstract image of the lighthouse at Cap Ferret, Arcachon Basin, South West France. 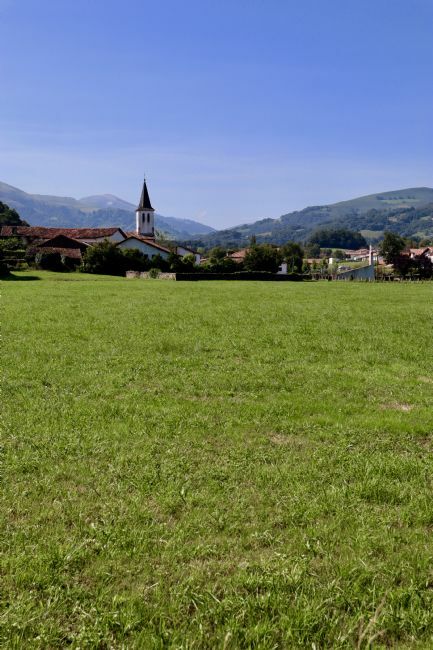 Image documenting a morning scene from a hamlet just outside St Jean Pied de Port, French Pyrenees. 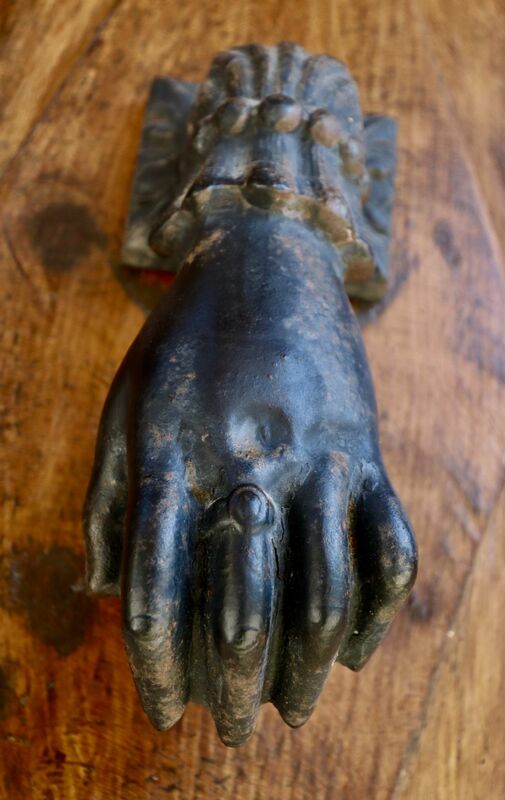 St Jean Pied de Port is famous as a starting point for the Camino also know as the Way of St James. 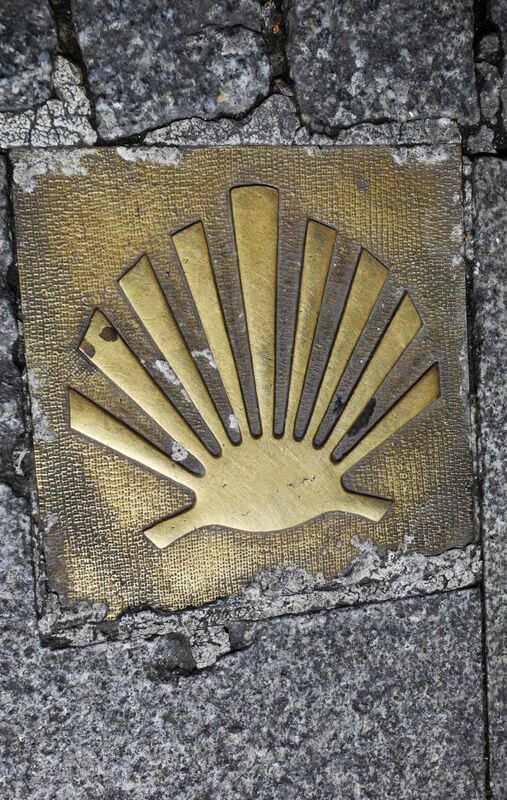 This is an ancient pilgrimage route to Santiago de Compostela in far West Northern Spain. 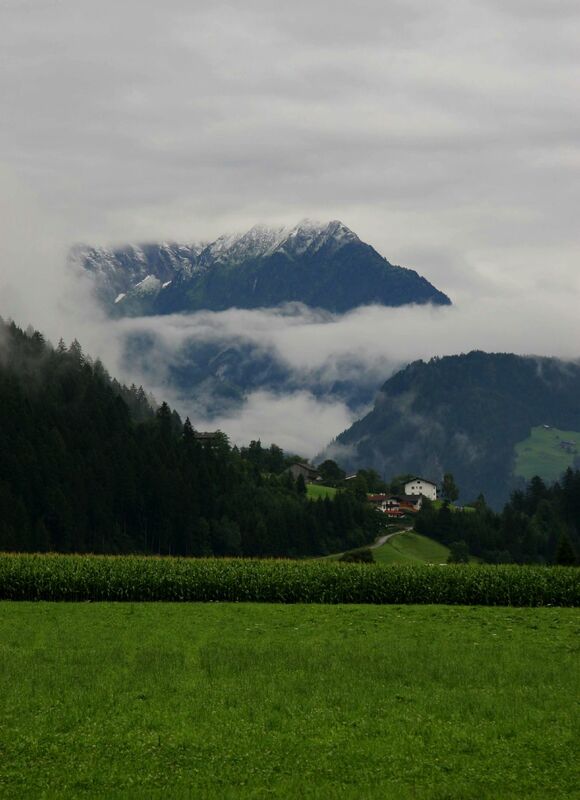 Image depicting low hanging cloud on a summers day high in the Austrian Alps. 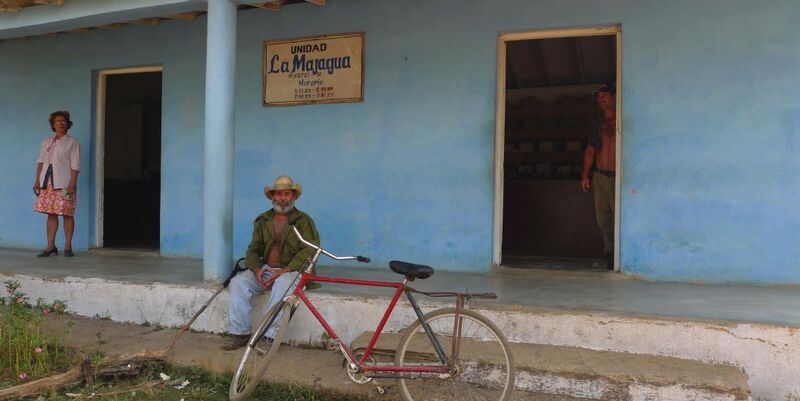 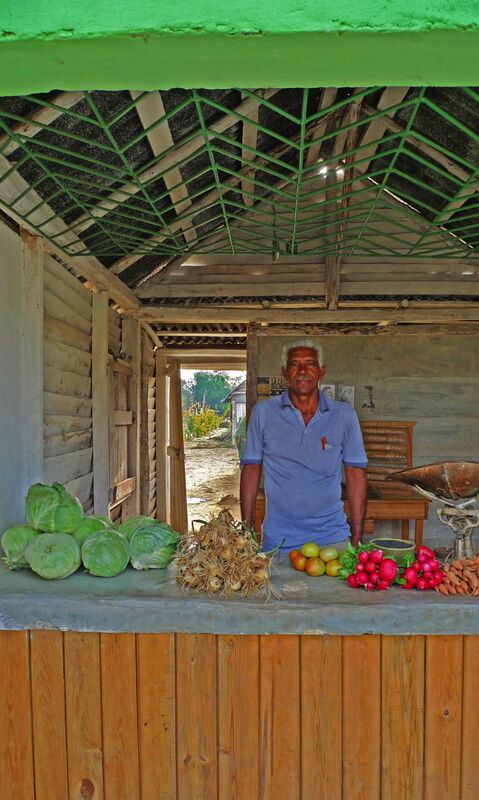 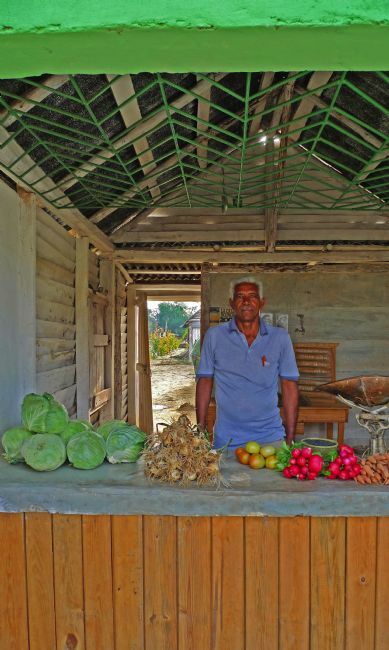 Documentary image of a Cuban man in the Vinales area, proudly displaying his produce for sale outside his farm. Taken in Bari, Italy, this image was captured while exploring the backstreets. 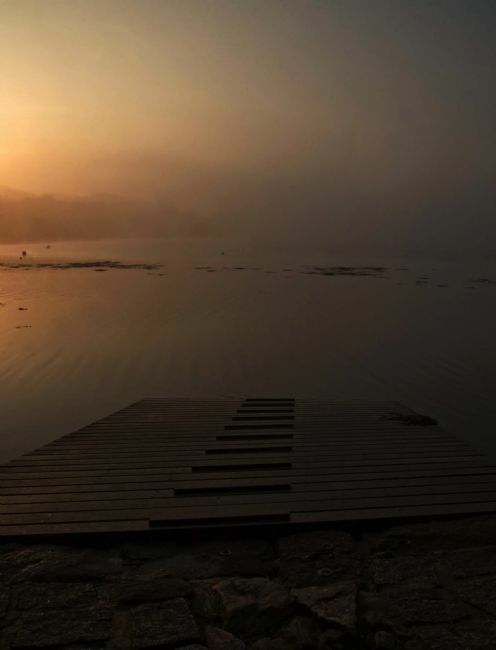 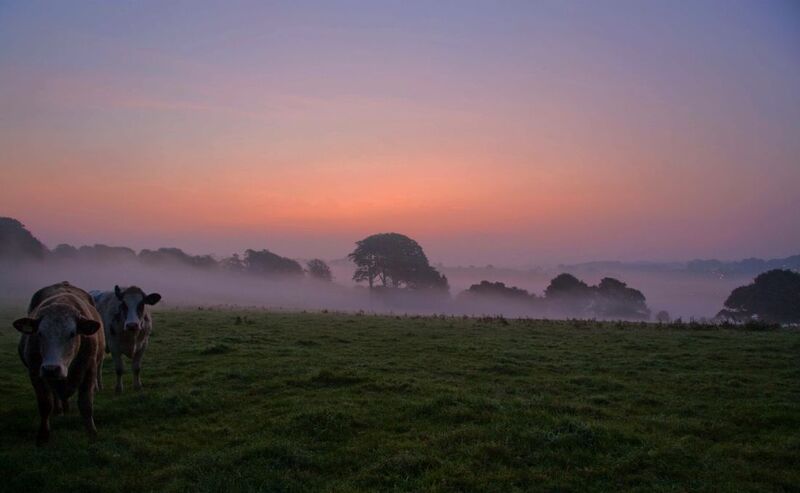 Image captured around Point Quay as the sun was rising on a misty Cornish morning. Captured at Cornwall VW Jamboree. 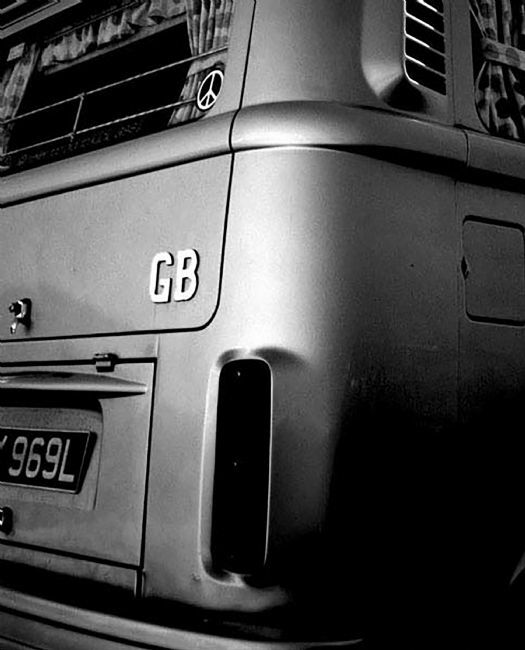 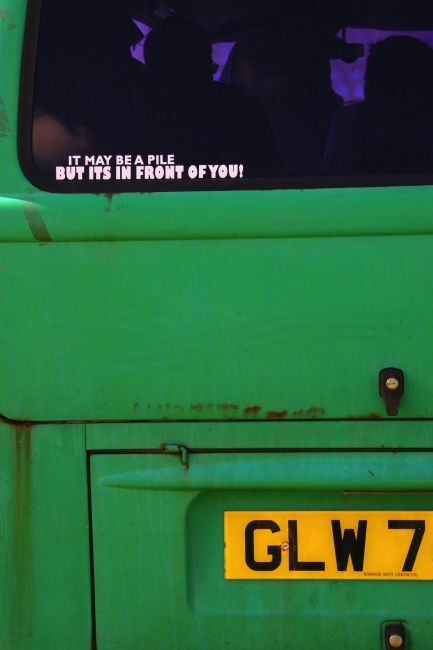 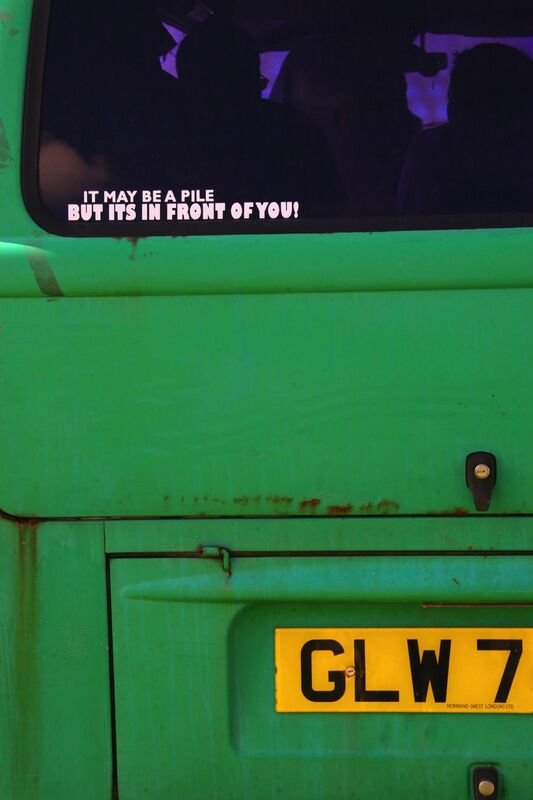 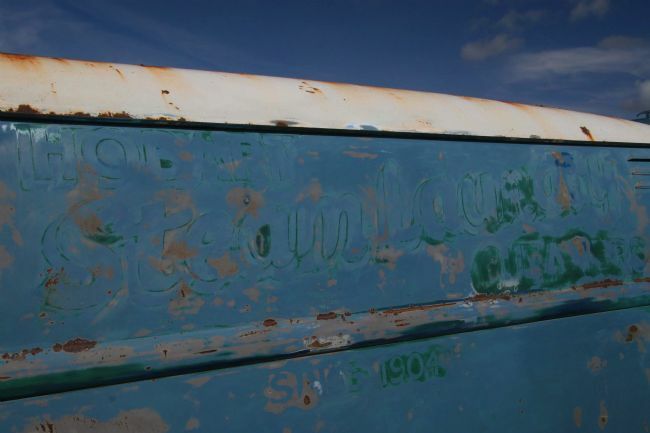 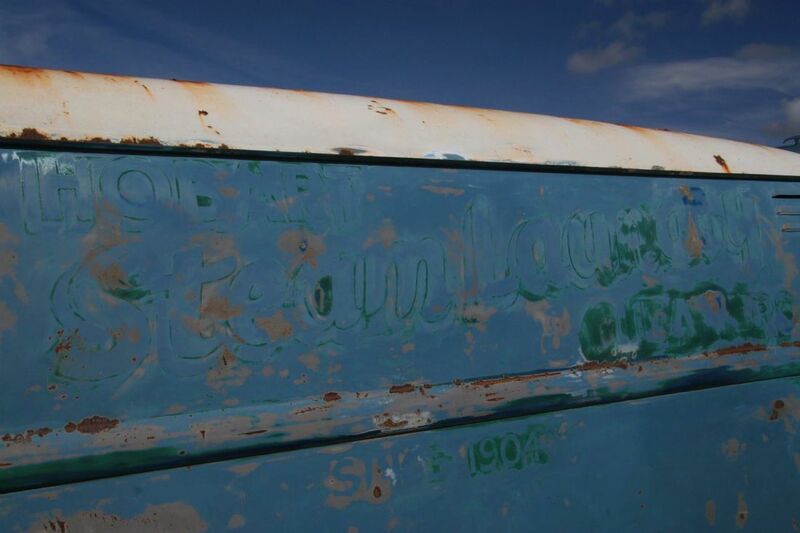 An example of the character emitted by these lovely old vintage dubs. 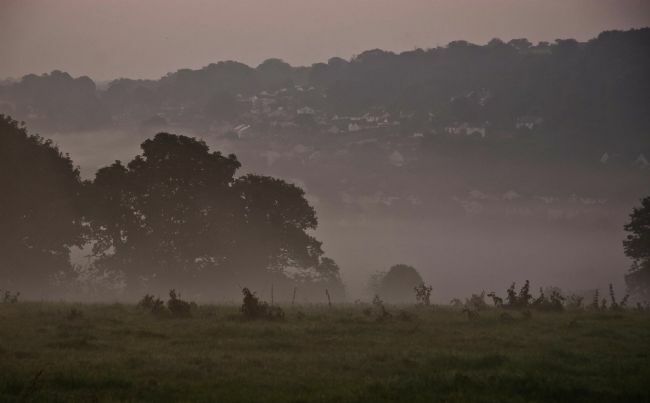 An early Autumnal misty morning in Kennall Vale, Ponsanooth, This is the site of the old gunpowder works with the Kennall River running through it. 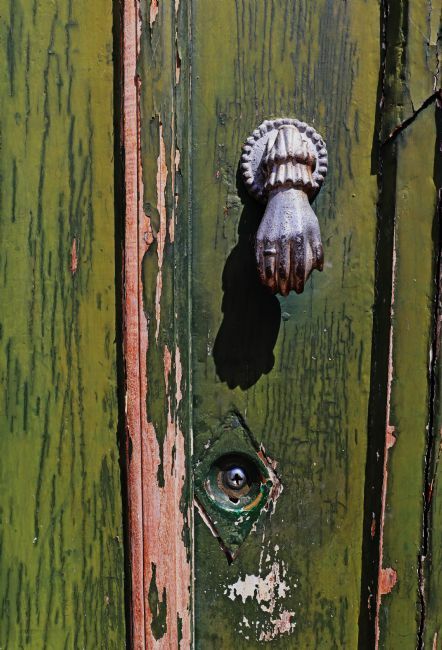 An attractive old French door in the midday sun. 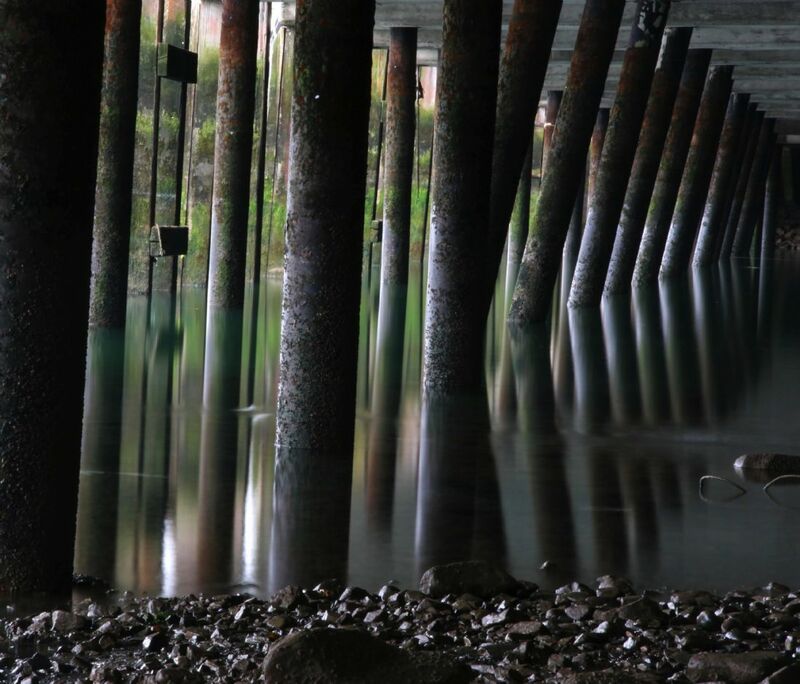 An interesting and detailed abstract composition. 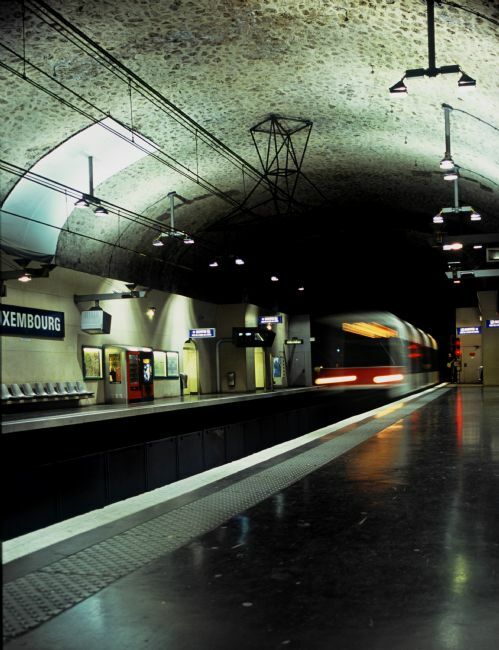 Night time in the Paris Metro. At Luxembourg Station. 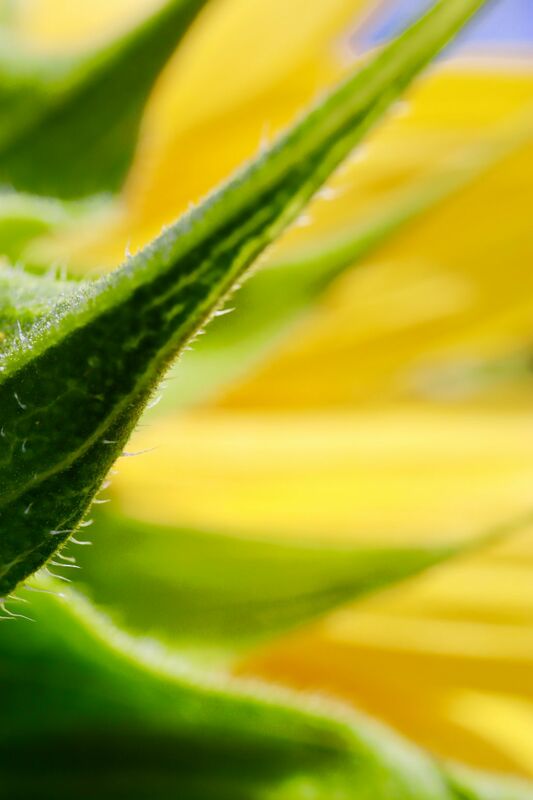 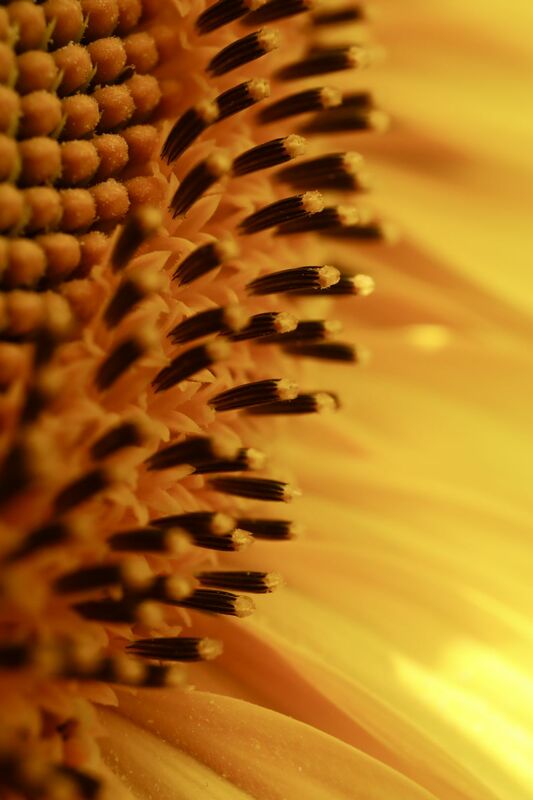 Abstract photo of a sunflower in South West France - leaves and ray floret. 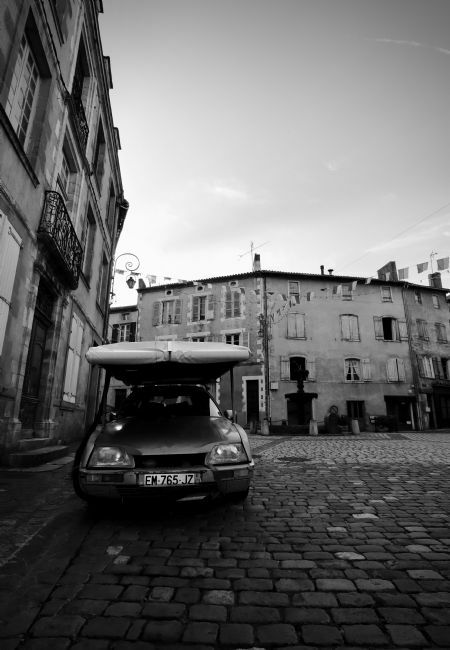 A typical evening street scene in the ancient medieval town of Carfolens, The Charent, France. 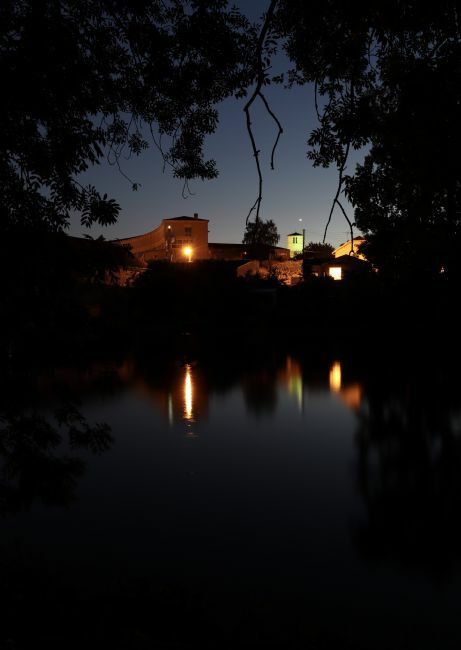 Confolens at dusk. Ancient foot bridge leading into the town. Sunset overlooking the River Loire near Saumur.